Aglietti P, P Deblase, F Ponteggia, R Defelice. Osteochondritis-Dissecans of the Knee – Arthroscopic Evaluation and Treatment. Sports Exercise and Injury. 1996; 2,3:152-161. Amiel D, Kleiner JB, Akeson WH. The natural history of the patellar tendon origin. Am J Sports Med. 14:449, 1987. Amiridis IG, G Cometti, B Morlon, L Martin, A Martin. Effects of the Type of Recovery Training on the Concentric Strength of the Knee Extensors. Journal of Sports Sciences, 1997, Vol 15, Iss 2, pp 175-180. Anderson AF, MJ Pagnani. Osteochondritis-Dissecans of the Femoral Condyles – Long-Term Results of Excision of the Fragment. American Journal of Sports Medicine. 1997; 25,6:830-834. Andriacchi T, Sebiston P, DeHaven D, Dahners L, Woo SL, Frank C, Oakes B, Brand R, Lewis J. Injury and repair of the musculoskeletal soft tissue. In Basset FH III, AAOS Instructional Course Lectures, vol. 37. St. Louis, C.V.Mosby, 1988, p. 103. Andriacchi TP, Briant PL, Bevill SL, Koo S. Rotational changes at the knee after ACL injury cause cartilage thinning. Clin Orthop Relat Res. 2006 Jan;442:39-44. Antonopoulos J, J Gillquist. Anterior Tibial Translation Related to Isokinetic Concentric Quadriceps Torques. Isokinetics and Exercise Science, 1996, Vol 6, Iss 2, pp 145-151. Arendt EA, SL Grossfeld. Patient Selection for Acl Reconstruction. Sports Medicine and Arthroscopy Review. 1996; 4,4:328-335. Arroll B, E Ellispegler, A Edwards, G Sutcliffe. Patellofemoral Pain Syndrome – A Critical-Review of the Clinical-Trials on Nonoperative Therapy. American Journal of Sports Medicine, 1997, Vol 25, Iss 2, pp 207-212. Atkinson TS, RC Haut, NJ Altiero. A Poroelastic Model That Predicts Some Phenomenological Responses of Ligaments and Tendons. Journal of Biomechanical Engineering – Transactions of the ASME. 1997; 119,4 ;400-405. Augustsson J, A Esko, R Thomee, U Svantesson. Weight Training of the Thigh Muscles Using Closed vs. Open Kinetic Chain Exercises – A Comparison of Performance Enhancement. Journal of Orthopaedic & Sports Physical Therapy. 1998; 27,1:3-8. Aune AK, PW Cawley, A Ekeland. Quadriceps Muscle-Contraction Protects the Anterior Cruciate Ligament During Anterior Tibial Translation. American Journal of Sports Medicine, 1997, Vol 25, Iss 2, pp 187-190. Aune et al. Four-Strand Hamstring Tendon Autograft Compared with Patellar Tendon-Bone Autograft for ACL Reconstruction: A Randomized Study with Two Year Follow Up. Aydin AT et al. The reference point to measure the anterior intermeniscal ligament’s thickness: An MRI study. Knee Surg, Sports Traumatol, Arthroscop 2002. 10:343-6. Bach JM, ML Hull, HA Patterson. Measurement of Strain in the Posterolateral Bundle of the Anterior Cruciate Ligament. Journal of Biomechanics, 1997, Vol 30, Iss 3, pp 281-283. Baker CL, RM Shalvoy. Treatment of Acute and Chronic Injuries to the Medial Structures of the Knee. Operative Techniques in Sports Medicine, 1996, Vol 4, Iss 3, pp 166-173. Balcarek P et al. Influence of tibial slope asymmetry on femoral rotation in patients with lateral patellar instability. Knee Surg Sports Traumatol Arthrosc. 2013; 21:2155-2163. Bamman MM, SG Ingram, JF Caruso, MC Greenisen. Evaluation of Surface Electromyography During Maximal Voluntary Contraction. Journal of Strength and Conditioning Research, 1997, Vol 11, Iss 2, pp 68-72. Bandy WD, JM Irion, M Briggler. The Effect of Time and Frequency of Static Stretching on Flexibility of the Hamstring Muscles. Physical Therapy. 1997; 77,10:1090-1096. Banks SA, GD Markovich, WA Hodge. In-Vivo Kinematics of Cruciate-Retaining and Cruciate-Substituting Knee Arthroplasties. Journal of Arthroplasty, 1997, Vol 12, Iss 3, pp 297-304. Banovetz JM, JP Albright, ET Crowley. Conservative Care of the Anterior Cruciate Ligament-Deficient Knee – A Review of the Literature and a Treatment Protocol. Sports Medicine and Arthroscopy Review, 1997, Vol 5, Iss 1, pp 29-43. Barber FA, BF Elrod, DA Mcguire, LE Paulos. Is an Anterior Cruciate Ligament Reconstruction Outcome Age-Dependent. Arthroscopy. 1996; 12,6:720-725. Barrack RL et al. Evidence of reinnervation of free patellar tendon autograft used for anterior cruciate ligament reconstruction. Am J Sports Med 1993; 21:264-70. Barrack RL, PJ Lund, BG Munn, C Wink, L Happel. Evidence of Reinnervation of Free Patellar Tendon Autograft Used for Anterior Cruciate Ligament Reconstruction. American Journal of Sports Medicine, 1997, Vol 25, Iss 2, pp 196-202. Barrance PJ, Williams GN, Snyder-Mackler L, Buchanan TS. Altered knee kinematics in ACL-deficient non-copers: a comparison using dynamic MRI. J Orthop Res. 2006 Feb;24(2):132-40. Barrett GR, SH Treacy, CG Ruff. Preliminary-Results of the T-Fix Endoscopic Meniscus Repair Technique in an Anterior Cruciate Ligament Reconstruction Population. Arthroscopy, 1997, Vol 13, Iss 2, pp 218-223. Barrett GR, SH Treacy. The Effect of Intraoperative Isometric Measurement on the Outcome of Anterior Cruciate Ligament Reconstruction – A Clinical Analysis. Arthroscopy. 1996; 12,6:645-651. Bassey EJ, JJ Littlewood, SJG Taylor. Relations Between Compressive Axial Forces in an Instrumented Massive Femoral Implant, Ground Reaction Forces, and Integrated Electromyographs from Vastus Lateralis During Various Osteogenic Exercises. Journal of Biomechanics, 1997, Vol 30, Iss 3, pp 213-223. Bautch JC, DG Malone, AC Vailas. Effects of Exercise on Knee Joints with Osteoarthritis – A Pilot-Study of Biologic Markers. Arthritis Care and Research, 1997, Vol 10, Iss 1, pp 48-55. Bengal, J Lowe, G Mann, A Finsterbush, Y Matan. Role of the Knee Brace in the Prevention of Anterior Knee Pain Syndrome. American Journal of Sports Medicine, 1997, Vol 25, Iss 1, pp 118-122. Benjamin M, JR Ralphs. Tendons and Ligaments – An Overview. Histology and Histopathology. 1997; 12,4:1135-1144. Berbig R, Rillman P. Timing of AACL reconstruction. Influence of acute or delayed surgery on arthrofibrosis and inability to work. Unfallchirung, 2000, 103:726-730. Beynnon BD, MA Risberg, O Tjomsland, A Ekeland, BC Fleming, GD Peura, RJ Johnson. Evaluation of Knee-Joint Laxity and the Structural-Properties of the Anterior Cruciate Ligament Graft in the Human – A Case-Report. American Journal of Sports Medicine, 1997, Vol 25, Iss 2, pp 203-206. Beynnon, Fleming, Labovitch, Parsons. Chronic anterior cruciate ligament deficiency is associated with increased anterior tranlsation of the tibia during the transition from NWB to WB. J Orthop Res. 2002; 20:332-337. Biedert R, U Vogel, NF Friederich. Chronic Patellar Tendinitis – A New Surgical-Treatment. Sports Exercise and Injury. 1997; 3,3:150-154. Biedert RM, C Gruhl. Axial Computed-Tomography of the Patellofemoral Joint with and Without Quadriceps Contraction. Archives of Orthopaedic and Trauma Surgery. 1997; 116,1-2:77-82. Billotti JD, MA Meese, F Alberta, MC Zimmerman. A Prospective, Clinical-Study Evaluating Arthroscopic Acl Reconstruction Using the Semitendinosus and Iliotibial Band – 2-Year to 5-Year Follow-Up. Orthopedics, 1997, Vol 20, Iss 2, pp 125-131. Blankevoort L, Kwak SD, Gardner TR, et al: Effects of global and anatomic coordinate systems on knee joint kinematics. Proc Eur Soc Biomech 10:260, 1996. Boden BP, JA Feagin. Natural-History of the Acl-Deficient Knee. Sports Medicine and Arthroscopy Review, 1997, Vol 5, Iss 1, pp 20-28. Boder M. Quadriceps protects the anterior cruciate ligament. J Orthop Res 2001;629-633. Bojanic I et al. Localized pigmented villonodular synovitis of the knee: Diagnostic challenge and arthroscopic treatment: A report of three cases. Knee Surg Sports Traumatol Arthrosc. 2001; 9:350-4. Bolgla LA, Malone TR, Umberger BR, Uhl TL. Hip strength and hip and knee kinematics during stair descent in females with and without patellofemoral pain syndrome. J Orthop Sports Phys Ther. 2008;38(1):12-8. Boling MC, Padua DA, Alexander Creighton R. Concentric and eccentric torque of the hip musculature in individuals with and without patellofemoral pain. J Athl Train. 2009;44(1):7-13. Bonnin M, Carret JP, Dimnet J, Dejour H. The weight-bearing knee after anterior cruciate ligament rupture. An in vitro biomechanical study. Knee Surg Sports Traumatol Arthrosc. 1996;3:245-251. Bos RPMJ, JH Grady, PAM Vierhout, J Devries. A Comparison of 2 Custom-Made and 2 Off-the-Shelf Rigid Knee Orthoses in the Treatment of Acl-Deficient Knees. .Journal of Prosthetics and Orthotics, 1997, Vol 9, Iss 1, pp 25-32. Boutin RD et al. MRI imaging features of osteochondritis Dissecans of the femoral sulcus. Am J Rad 2003; 180: 641-5. Bray RC et al. Vascular response of the meniscus to injury: Effect of immobilization. J Orthop Res, 2001; 19: 384-90. Breig A. Adverse Mechanical Tension in the Central Nervous System. New York,NY:Wiley;1978. Brodowicz GR, R Welsh, J Wallis. Comparison of Stretching with Ice, Stretching with Heat, or Stretching Alone on Hamstring Flexibility. Journal of Athletic Training. 1996; 31,4:324-327. Brooks S, Morgan M. Accuracy of clinical diagnosis in knee arthroscopy. Annals of the Royal College of Surgeons of Eng. 2002;84(4):265-8. Brown DW, CM Curry, LM Ruterbories, FL Avery, PS Anson. Evaluation of Pain After Arthroscopically Assisted Anterior Cruciate Ligament Reconstruction. American Journal of Sports Medicine, 1997, Vol 25, Iss 2, pp 182-186. Bruce SA, SK Phillips, RC Woledge. Interpreting the Relation Between Force and Cross-Sectional Area in Human Muscle. Medicine and Science in Sports and Exercise, 1997, Vol 29, Iss 5, pp 677-683. Bruns J, P Kersten, M Silbermann, W Lierse. Cartilage-Flow Phenomenon and Evidence for It in Perichondrial Grafting. Archives of Orthopaedic and Trauma Surgery. 1997; 116,1-2:66-73. Buchanan TS, DG Lloyd. Muscle Activation at the Human Knee During Isometric Flexion-Extension and Varus-Valgus Loads. Journal of Orthopaedic Research, 1997, Vol 15, Iss 1, pp 11-17. Buckwalter JA, NE Lane. Athletics and Osteoarthritis. American Journal of Sports Medicine. 1997; 25,6 ;873-881. Buff HU, Jones LC, Hungerford DS: Experimental determination of forces transmitted through the patello-femoral joint. J Biomech 21:17–23, 1988. Byröd G, Olmarker K, et al. A rapid transport route between the epidural space and the intraneural capillaries of the nerve roots. Spine. 1995; 20,2:138-143. Calmet J et al. Localized pigmented villinodular synovitis in an unusual location of the knee. Arthroscopy 2003; 19:144-9. Camarillo M, Johnson D. Popliteomeniscal fascicle tears. Orthopedics. 2014; 37:187-190. Cameron JC, S Saha. Meniscal Allograft Transplantation for Unicompartmental Arthritis of the Knee. Clinical Orthopaedics and Related Research, 1997, Iss 337, pp 164-171. Cameron M, A Buchgraber, H Passler, M Vogt, E Thonar, F Fu, CH Evans. The Natural-History of the Anterior Cruciate Ligament-Deficient Knee – Changes in Synovial-Fluid Cytokine and Keratan Sulfate Concentrations. American Journal of Sports Medicine. 1997; 25,6:751-754. Capasso G, V Testa, N Maffulli, G Bifulco. Aprotinin, Corticosteroids and Normosaline in the Management of Patellar Tendinopathy in Athletes – A Prospective Randomized Study. Sports Exercise and Injury. 1997; 3,3:111-115.
to posterior tibial loading. Ann Biomed Eng. 1996; 2:193-7. Carter ND et al. Joint position sense and rehabilitation in the anterior cruciate ligament deficient knee.Br J Sports Med 1997; 31:209-12. Cavanaugh JM. Neural mechanisms of lumbar pain. Spine. 1995; 20,16:1804-1809. Chan BP, KM Chan, N Maffulli, S Webb, KKH Lee. Effect of Basic Fibroblast Growth-Factor – An in-Vitro Study of Tendon Healing. Clinical Orthopaedics and Related Research. 1997; 342:239-247. Chandrashekar N, Slauterbeck J, Hashemi J. Am J Sports Med 2005;33:1492-8. Chen HC et al. MR imaging of displaced meniscal tears of the knee. Acta Rad 2001; 42:417-21. Cheung LP, KCP Li, MD Hollett, AG Bergman, RJ Herfkens. Meniscal Tears of the Knee – Accuracy of Detection with Fast Spin-Echo MR-Imaging and Arthroscopic Correlation in 293 Patients. Radiology, 1997, Vol 203, Iss 2, pp 508-512. Colletti P, H Greenberg, MR Terk. MR Findings in Patients with Acute Tibial Plateau Fractures. Computerized Medical Imaging and Graphics, 1996, Vol 20, Iss 5, pp 389-394. Comin JA, EC Rodriguezmerchan. Arthroscopic Synovectomy in the Management of Painful Localized Posttraumatic Synovitis of the Knee-Joint. Arthroscopy. 1997; 13,5:606-608. Conrad JM, Stanitski CL. Osteochondritis dissecans: Wilson’s sign revisited Am J Sports Med. 2003;31(5):777-778. Cook JL, KM Khan, PR Harcourt, M Grant, DA Young, SF Bonar. A Cross-Sectional Study of 100 Athletes with Jumpers Knee Managed Conservatively and Surgically. British Journal of Sports Medicine. 1997; 31,4:332-336. Cook TM, KP Farrell, IA Carey, JM Gibbs, GE Wiger. Effects of Restricted Knee Flexion and Walking Speed on the Vertical Ground Reaction Force During Gait. Journal of Orthopaedic & Sports Physical Therapy, 1997, Vol 25, Iss 4, pp 236-244. Cornefjord M, Olmarker K, et al. Neuropeptide changes in compressed spinal nerve roots. Spine. 1995; 20,6:670-673. Cowan SM, Crossley KM. Does gender influence neuromotor control of the knee and hip? J Electromyogr Kinesiol. 2009;19(2):276-282. Cross M. Clinical Terminology for Describing Knee Instability. Sports Medicine and Arthroscopy Review. 1996; 4,4:313-318. Crossley, Bennell, Green, McConnell. Clinical Review: A systematic review of physical interventions for patellofemoral pain syndrome. Clin J Sports Med. 2001; 11:103-110. Cullison TR, MP Muldoon, JD Gorman, WB Goff. The Incidence of Deep Venous Thrombosis in Anterior Cruciate Ligament Reconstruction. Arthroscopy. 1996; 12,6:657-659. Cutbill JW, KO Ladly, RC Bray, P Thorne, M Verhoef. Anterior Knee Pain – A Review. Clinical Journal of Sport Medicine, 1997, Vol 7, Iss 1, pp 40-45. D’Agata SD, Pearsall AW, Reider B, et al: An in vitro analysis of patellofemoral contact areas and pressures following procurement of the central onethird patellar tendon. Am J Sports Med 21:212–219. 1993. Davis DS, WR Post. Segond Fracture – Lateral Capsular Ligament Avulsion. Journal of Orthopaedic & Sports Physical Therapy, 1997, Vol 25, Iss 2, pp 103-106. Davis K, et al. Magnetic resonance imaging and arthroscopic appearance of the menisci of the knee. Clin Sports Med. 2013; 32:449-475. Deacon A, K Bennell, ZS Kiss, K Crossley, P Brukner. Osteoarthritis of the Knee in Retired, Elite Australian Rules Footballers. Medical Journal of Australia, 1997, Vol 166, Iss 4, pp 187-190. Deie M, Ochi M, Sumen Y, Kawasaki K, Adachi N, Yasunaga Y, Ishida O. Relationship between osteochondritis dissecans of the lateral femoral condyle and lateral menisci types. J Pediatr Orthop. 2006 Jan-Feb;26(1):79-82. Dellon AL, Ebmer J, Swier P. Anatomic variations related to decompression of the common peroneal nerve at the fibular head. Ann Plast Surg. 2002; 48:30-4. Demirag B, Ozturk C, Karakayali M. Symptomatic infrapatellar plica. Knee Surg Sports Traumatol Arthrosc. 2006 Feb;14(2):156-60. Deutsch AL, MN Coel, JH Mink. Imaging of Stress Injuries to Bone – Radiography, Scintigraphy, and MR-Imaging. Clinics in Sports Medicine, 1997, Vol 16, Iss 2, pp 275. Deyle GD, Allison SC, Matekel RL, Ryder MG, Stang JM, Gohdes DD, Hutton JP, Henderson NE, Garber MB. Physical therapy treatment effectiveness for osteoarthritis of the knee: a randomized comparison of supervised clinical exercise and manual therapy procedures versus a home exercise program.Phys Ther. 2005; 85(12):1301-17. Deyle G, et al. Knee OA: which patients are unlikely to benefit from manual PT and exercise? J Fam Pract. 2012; 61:E1-8. Dhillon MS, Panday AK, Aggarwal S, Nagi ON. Extra articular arthroscopic release in post-traumatic stiff knees: a prospective study of endoscopic quadriceps and patellar release. Acta Orthop Belg. 2005;71(2):197-203. Dierks TA, Manal KT, Hamill J, Davis IS. Proximal and distal influences on hip and knee kinematics in runners with patellofemoral pain during a prolonged run. J Orthop Sports Phys Ther. 2008;38(8):448-56. Dolak KL, Silkman C, Medina McKeon J, Hosey RG, Lattermann C, Uhl TL. Hip strengthening prior to functional exercises reduces pain sooner than quadriceps strengthening in females with patellofemoral pain syndrome: a randomized clinical trial. J Orthop Sports Phys Ther. 2011;41(8):560-70. Draghi F, et al. Overload syndromes of the knee in adolescents: Sonographic findings. J Ultrasound. 2008; 11:151-157. Valentino M, et al. Sinding Larsen Johansson syndrome. A case report. J Ultrasound. 2012; 15:127-129. Driessen A, et al. The fabella syndrome – a rare cause of posterolateral knee pain: a review of the literature and two case reports. BMC Musculoskeletal Disorders. 2014; 15: 1-8. Dupont Y. Synovial Plicae of the Knee – Controversies and Review. Clinics in Sports Medicine, 1997, Vol 16, Iss 1, pp 87. Duffell et al. Balance and gait adaptations in patients with early knee osteoarthritis. Gait & Posture 39 (2014) 1057–1061. Duri ZAA, PM Aichroth, G Dowd, H Ware. The Fat Pad and Its Relationship to Anterior Knee Pain. Knee. 1997; 4,4 ;227-236. Eckstein F, C Adam, H Sittek, C Becker, S Milz, E Schulte, M Reiser, R Putz. Noninvasive Determination of Cartilage Thickness Throughout Joint Surfaces Using Magnetic-Resonance-Imaging. Journal of Biomechanics, 1997, Vol 30, Iss 3, pp 285-289. Engebretsen L, JL Lewis. Graft Selection and Biomechanical Considerations in Acl Reconstruction (Isometry, Stress, Preload). Sports Medicine and Arthroscopy Review. 1996; 4,4:336-341. Enoka RM. Eccentric Contractions Require Unique Activation Strategies by the Nervous-System. Journal of Applied Physiology. 1996; 81,6:2339-2346. JD Espregueira-Mendes, M Vieira da Silva. Anatomy of the proximal tibiofibular joint. Knee Surg Sports Traumatol Arthrosc 2006; 14:241–249. Espregueira-Mendes, M Vieira da Silva. Anatomy of the lateral collateral ligament: a cadaver and histological study. Knee Surg Sports Traumatol Arthrosc 2006; 14:221–228. Evetovich TK, TJ Housh, JR Stout, GO Johnson, DB Smith, KT Ebersole. Mechanomyographic Responses to Concentric Isokinetic Muscle Contractions. European Journal of Applied Physiology and Occupational Physiology, 1997, Vol 75, Iss 2, pp 166-169. Farahmand F, Senavongse W, Amis AA. A quantitative study of the quadriceps muscles and trochlear groove geometry related to instability of the patellofemoral joint. J Orth Res. (1998); 16: 136-143. Farkas R, U Glitsch, M Paris. On the Mechanical Effects of Knee Bandages in the Therapy of Patellar Chondropathy. Clinical Biomechanics, 1997, Vol 12, Iss 2, pp 116-121. Federico DJ, B Reider. Results of Isolated Patellar Debridement for Patellofemoral Pain in Patients with Normal Patellar Alignment. American Journal of Sports Medicine. 1997; 25,5:663-669. Feiring DC, TS Ellenbecker. Single Versus Multiple Joint Isokinetic Testing with Acl Reconstructed Patients. Isokinetics and Exercise Science, 1996, Vol 6, Iss 2, pp 109-115. Ferguson PC, AM Griffin, RS Bell. Primary Patellar Tumors. Clinical Orthopaedics and Related Research, 1997, Iss 336, pp 199-204. Fiebert IM, CH Pahl, EB Applegate, NI Spielholz, K Beernik. Medial-Lateral Hamstring Electromyographic Activity During Maximum Isometric Knee Flexion at Different Angles. Isokinetics and Exercise Science, 1996, Vol 6, Iss 2, pp 157-162. Fink C, C Hoser, KP Benedetto, W Hackl, M Gabl. Long-Term Results Following Conservative or Operative Treatment of Anterior Cruciate Ligament Rupture. Unfallchirurg, 1996, Vol 99, Iss 12, pp 964-969. Fisher NM, SC White, HJ Yack, RJ Smolinski, DR Pendergast. Muscle Function and Gait in Patients with Knee Osteoarthritis Before and After Muscle Rehabilitation. Disability and Rehabilitation, 1997, Vol 19, Iss 2, pp 47-55. Fithian DC, WF Luetzow. Natural-History of the Acl-Deficient Patient. Sports Medicine and Arthroscopy Review. 1996; 4,4:319-327. Fithian DC, WF Luetzow. Outcomes Following Acl Surgery. Sports Medicine and Arthroscopy Review, 1997, Vol 5, Iss 1, pp 68-76. Fitzgerald GK. Open Versus Closed Kinetic Chain Exercise – Issues in Rehabilitation After Anterior Cruciate Ligament Reconstructive Surgery. Physical Therapy. 1997; 77,1 2:1747-1754. Fleming BC, Renstrom PA, Beynnon BD, Engstrom B, Peura GD, Badger GJ, Johnson RJ. The effect of weightbearing and external loading on anterior cruciate ligament strain J Biomech, 2001; 34:163-70. Fleming BC, Oksendahl H, Beynnon BD. Open- or closed-kinetic chain exercises after anterior cruciate ligament reconstruction? Exerc Sport Sci Rev. 2005; 33(3):134-40. Forst J, R Forst, KD Heller, G Adam. Spontaneous Osteonecrosis of the Femoral Condyle – Causal Treatment by Early Core Decompression. Archives of Orthopaedic and Trauma Surgery. 1998; 117,1-2 ;18-22. Fowler PJ. Isolated posterior cruciate ligament injuries in athletes. Am J Sports Med. 1987;15:553-557. Friden T, D Roberts, R Zatterstrom, A Lindstrand, U Moritz. Proprioception After an Acute Knee Ligament Injury – A Longitudinal-Study on 16 Consecutive Patients. Journal of Orthopaedic Research. 1997; 15,5:637-644. Friden T, Roberts D, Agebere E, Walden M, Zatterstrom R. Review of knee proprioception and the relation to extremity function after an anterior cruciate ligament rupture. J Orthop Sports Ther 2001; 31:567-76. Fucentese SF, von Roll A, Koch PP, Epari DR, Fuchs B, Schottle PB. The patella morphology in trochlear dysplasia–a comparative MRI study. Knee. 2006;13(2):145-50. Epub 2006 Feb 9. Fujii M et al. Intercondylar notch size influences cyclops formation after anterior cruciate ligament reconstruction. Knee Surg Sports Traumatol Arthrosc. Published online: Feb 2014. Fukubayashi T., et al. An in vitro biomechanical evaluation of anterior-posterior motion of the knee. J Bone Joint Surg. 1982;64A:258-264. Fukunaga T, Y Ichinose, M Ito, Y Kawakami, S Fukashiro. Determination of Fascicle Length and Pennation in a Contracting Human Muscle in-Vivo. Journal of Applied Physiology, 1997, Vol 82, Iss 1, pp 354-358. Fulkerson JP: Disorders of the Patellofemoral Joint. Ed 3. Baltimore, Williams and Wilkins 1997. Fuss FK. Anatomy of the cruciate ligaments and their function in extension and flexion of the human knee joint. Am J of Anatomy. 1989;184:165-176. Gapeyeva H, J Ereline, M Paasuke, A Eller, A Pintsaar. Strength Characteristics of Knee Extensors After Arthroscopy.8th World Congress of the International Rehabilitation Medicine Association (Irma VIII).1997;1253-1256. Garfin SR, Rydevik B, et al. Spinal nerve root compression. Spine. 1995; 20,16:1810-1820. AD Georgoalis, S Ristanis, V Chouliaras, C Moraiti, N Stergiou. Tibial rotation is not restored after ACL reconstruction with a hamstring graft. Clin Orthop Rel Res, 2007;454:89-94. Gerlach UJ, Lierse W, Wolter D. Mechanoreceptors in the distal aspects of the m. Vastus medialis. Unfallchirurg. 1993; 96,1:41-42. Giannotti BF, GC Fanelli, TA Barrett, C Edson. The Predictive Value of Intraoperative Kt-1000 Arthrometer Measurements in Single Incision Anterior Cruciate Ligament Reconstruction. Arthroscopy. 1996; 12,6:660-666. Gillquist J. Drill-Hole Reproducibility in Acl Reconstruction. Sports Medicine and Arthroscopy Review. 1996; 4,4:342-349. Gillquist J. Knee Ligaments and Proprioception. Acta Orthopaedica Scandinavica. 1996; 67,6:533-535. Gisslen K, Alfredon H. Neovascularisation and pain in jumper’s knee: a prospective clinical and sonographic study in elite junior volleyball players. Br J Sports Med 2005;39:423–428. Gomezbarrena E, A Nunez, E Martinezmoreno, J Valls, L Munuera. Neural and Muscular Electric-Activity in the Cats Knee – Changes When the Anterior Cruciate Ligament Is Transected. Acta Orthopaedica Scandinavica, 1997, Vol 68, Iss 2, pp 149-155. Gomezbarrena E, E Martinezmoreno, L Munuera. Segmental Sensory Innervation of the Anterior Cruciate Ligament and the Patellar Tendon of the Cats Knee. Acta Orthopaedica Scandinavica. 1996; 67,6:545-552. Goodfellow J, Hungerford DS, Zindel M: Patellofemoral joint mechanics and pathology: 1. Functional anatomy of the patello-femoral joint. J Bone Joint Surg 58B:287–290, 1976. Gottlob CA, BW Gaunt. Principles of Rehabilitation Following Anterior Cruciate Ligament Reconstruction. Sports Medicine and Arthroscopy Review. 1996; 4,4:350-360. Greenleaf JE. The Anatomy and Biomechanics of the Lateral Aspect of the Knee. Operative Techniques in Sports Medicine, 1996, Vol 4, Iss 3, pp 141-147. Grelsamer RP, McConnell J: The Patella: A Team Approach. Gaithersburg, MD, Aspen Publishing 1998. Grelsamer RP, Proctor CS, Bazos AN: Evaluation of patellar shape in the sagittal plane: A clinical analysis. Am J Sports Med 22:61–66, 1994. Grelsamer RP: Patellar malalignment: Current concepts review. J Bone Joint Surg 82A:1639–1650, 2000. Grimm NL, et al. Osteochondritis dissecans of the knee; Pathoanatomy, epidemiology, and diagnosis. Clin Sports Med 33 (2014) 181–188 . Grood ES, Noyes FR. Cruciate ligament prothesis: strength creep and fatigue properties. J Bone Joint Surg. 58A:1083, 1976. Grood ES, Suntay WJ, Noyes FR, et al: Biomechanics of the knee-extension exercise: Effect of cutting the anterior cruciate ligament. J Bone Joint Surg 66A:725–734, 1984. Gulling LK, SM Lephart, DA Stone, JJ Irrgang, DM Pincivero. The Effects of Patellar Bracing on Quadriceps EMG Activity During Isokinetic Exercise. Isokinetics and Exercise Science, 1996, Vol 6, Iss 2, pp 133-138. Guss DA. Hip Fracture Presenting as Isolated Knee Pain. Annals of Emergency Medicine, 1997, Vol 29, Iss 3, pp 418-420. Guzzanti V, FM Pezzoli, G Bergami, M Darienzo. Ultrasound in Young Athletes with Osteochondrosis at the Insertion of the Patellar Tendon. Journal of Sports Traumatology and Related Research, 1996, Vol 18, Iss 4, pp 182-186. Hahn T, A Foldspang. The Q-Angle and Sport. Scandinavian Journal of Medicine & Science in Sports, 1997, Vol 7, Iss 1, pp 43-48. Hall FM, MG Hochman. Medial Segond-Type Fracture – Cortical Avulsion Off the Medial Tibial Plateau Associated with Tears of the Posterior Cruciate Ligament and Medial Meniscus. Skeletal Radiology. 1997; 26,9:553-555. Hamanishi C, Tanaka S. Dorsal root ganglia in the lumbosacral region observed from the axial views of MRI. Spine. 1993; 18,13:1753-1756. Rupture of the quadriceps tendon: an association with a patellar spur. J Bone Joint Surg Br. 2005 Oct;87(10):1361-3. Harris NL, DAB Smith, L Lamoreaux, M Purnell. Central Quadriceps Tendon for Anterior Cruciate Ligament Reconstruction .1. Morphometric and Biomechanical Evaluation. American Journal of Sports Medicine, 1997, Vol 25, Iss 1, pp 23-28. Harris NL. Physical Diagnosis of Collateral Ligament and Combined Ligament Injuries. Operative Techniques in Sports Medicine, 1996, Vol 4, Iss 3, pp 148-157. Hasegawa TH, Mikawa Y, Watanabe R, An HS. Morphometric analysis of the lumbosacral nerve roots and dorsal root ganglia by magnetic resonance imaging. Spine. 1996;21:1005-1009. Hasue M. Pain and nerve root: An interdisciplinary Approach. Spine. 1993; 18,14:2053-2058. Hauger O Frank LR, Boutin RD, et al. Characterization of the “red zone” of knee meniscus: MR imaging and histological correlation. Rad 2000;217:193-200. Hauselmann HJ, EB Hunziker. Lesions of Human Articular-Cartilage and Their Management. Schweizerische Medizinische Wochenschrift. 1997; 127,46 ;1911-1924. Haut TL, RC Haut. The State of Tissue Hydration Determines the Strain-Rate-Sensitive Stiffness of Human Patellar Tendon. Journal of Biomechanics. 1997; 30,1:79-81. Heegaard J, Leyvraz PF, Van Kampen A, et al: Influence of soft structures on patellar three-dimensional tracking. Clin Orthop 299:235–43, 1994. Hehl G, L Kinzl, R Reichel. Carbon Prosthetic Ligaments for Reconstruction in Knee Instability – 10 Years Follow-Up. Chirurg. 1997; 68,11:1119-1125. Hehne HJ: Biomechanics of the patellofemoral joint and its clinical relevance. Clin Orthop 258:73–85, 1990. Helms C. Fundamentals of Skeletal Radiology: Second Edition. Philadelphia: W.B Saunders; 1995. Helms C. The meniscus:recent advances in MR imaging of the knee. AJR. 2002;179:1115-1122. Henningsen M, et al. Prevalence of saphenous nerve injury after adductor-canal-blockade in patients receiving total knee arthroplasty. Acta Anaesthesiol Scand. 2013; 57:112-117. Higgins MJ, DH Perrin. Comparison of Weight-Bearing and Non-Weight-Bearing Conditions on Knee-Joint Reposition Sense. Journal of Sport Rehabilitation. 1997; 6,4:327-334. Hirokawa S, R Tsuruno. Hyper-Elastic Model Analysis of Anterior Cruciate Ligament. Medical Engineering & Physics, 1997, Vol 19, Iss 7, pp 637-651. Hirokawa S: Three-dimensional mathematical model analysis of the patellofemoral joint. J Biomech. 24:659–671, 1991. Hoffmann FF. Abnormal Femoral Origin of the Anterior Cruciate Ligament Combined with a Discoid Lateral Meniscus. Arthroscopy, 1997, Vol 13, Iss 2, pp 254-256. Hofmann GO, MH Kirschner, FD Wagner, W Land, V Buhren. Allogeneic Vascularized Grafting of a Human Knee-Joint with Postoperative Immunosuppression. Archives of Orthopaedic and Trauma Surgery, 1997, Vol 116, Iss 3, pp 125-128. Hogerle S, R Letsch, KW Sievers. Acl Reconstruction by Patellar Tendon – A Comparison of Length by Magnetic-Resonance-Imaging. Archives of Orthopaedic and Trauma Surgery. 1998 ; 117,1-2:58-61. Hoher J, D Kersten, B Bouillon, E Neugebauer, T Tiling. Local and Intraarticular Infiltration of Bupivacaine Before Surgery – Effect on Postoperative Pain After Anterior Cruciate Ligament Reconstruction. Arthroscopy, 1997, Vol 13, Iss 2, pp 210-217. Holden JP, G Chou, SJ Stanhope. Changes in Knee-Joint Function over a Wide-Range of Walking Speeds. Clinical Biomechanics. 1997; 12,6 ;375-382. Hollis JM, Pearsall AW, Niciforos PG. Change in meniscal strain with anterior cruciate ligament injury and after reconstruction. Am J Sports Med, 2000; 28: 700-04 . Holthusen H, JO Arndt. The Role of Pain from Veins for the Formation of Perivenous Edema in Humans. Pain, 1996, Vol 68, Iss 2-3, pp 395-400. Housh DJ, TJ Housh, JP Weir, LL Weir, PE Donlin, WK Chu. Concentric Isokinetic Resistance Training and Quadriceps Femoris Cross-Sectional Area. Isokinetics and Exercise Science, 1996, Vol 6, Iss 2, pp 101-108. Huang G-S et al. Avulsion fracture of the head of the fibula (the “arcuate” sign): MR imaging findings predictive of injuries to the posterolateral ligaments and posterior cruciate ligament. Am J Rad 2003; 180:381-7. Huberti HH, Hayes WC, Stone JL, et al: Force ratios in the quadriceps tendon and ligamentum patellae. J Orthop Res 2:49–54, 1984. Huberti HH, Hayes WC: Patellofemoral contact pressures: The influence of q-angle and tendofemoral contact. J Bone Joint Surg 66A:715–724, 1984. Hull ML. Analysis of Skiing Accidents Involving Combined Injuries to the Medial Collateral and Anterior Cruciate Ligaments. American Journal of Sports Medicine, 1997, Vol 25, Iss 1, pp 35-40. Hunter RE, J Mastrangelo, JR Freeman, ML Purnell, RH Jones. The Impact of Surgical Timing on Postoperative Motion and Stability Following Anterior Cruciate Ligament Reconstruction. Arthroscopy. 1996; 12,6:667-674. Hurschler C, B Loitzramage, R Vanderby. Structurally Based Stress-Stretch Relationship for Tendon and Ligament. Journal of Biomechanical Engineering – Transactions of the ASME. 1997; 119,4:392-399. Ilahi OA. Prevalence of ganglion cysts originating from the proximal tibiofibular joint. A magnetic resonance imaging study. Arthroscopy 2003; 19:150-3. Isear JA, JC Erickson, TW Worrell. EMG Analysis of Lower-Extremity Muscle Recruitment Patterns During an Unloaded Squat. Medicine and Science in Sports and Exercise, 1997, Vol 29, Iss 4, pp 532-539. Ishibashi Y, TW Rudy, GA Livesay, JD Stone, FH Fu, SLY Woo. The Effect of Anterior Cruciate Ligament Graft Fixation Site at the Tibia on Knee Stability – Evaluation Using a Robotic Testing System. Arthroscopy, 1997, Vol 13, Iss 2, pp 177-182. Ishii Y, K Terajima, S Terashima, Y Koga. 3-Dimensional Kinematics of the Human Knee with Intracortical Pin Fixation. Clinical Orthopaedics and Related Research. 1997; 343:144-150. Ishimura M, H Ohgushi, T Habata, S Tamai, Y Fujisawa. Arthroscopic Meniscal Repair Using Fibrin Glue .1. Experimental-Study. Arthroscopy. 1997; 13,5:551-557. Izawa T, Okazaki K, Tashiro Y, Matsubara H, Miura H, Matsuda S, Hashizume M, Iwamoto Y. Comparison of rotatory stability after anterior cruciate ligament reconstruction between single-bundle and double-bundle techniques. Am J Sports Med. 2011 Jul;39(7):1470-7. Jackson DW, TM Simon. Chondrocyte Transplantation. Arthroscopy. 1996; 12,6:732-738. Jenkins WL, SW Munns, G Jayaraman, KL Wertzberger, K Neely. A Measurement of Anterior Tibial Displacement in the Closed and Open Kinetic Chain. Journal of Orthopaedic & Sports Physical Therapy. 1997; 25,1:49-56. Jerosch J, K Schmidt, M Prymka. Influence of Proprioceptive Capacity of Knees with Primary Gonarthrosis. Unfallchirurg, 1997, Vol 100, Iss 3, pp 219-224. Jerosch J, K Schmidt, M Prymka. Proprioceptive Abilities of Patients with a Patellar Pain Syndrome with Special Reference to the Effect of an Elastic Knee Bandage. Unfallchirurg. 1997; 100,9:719-723. Johnson LL, AL Johnson, JA Colquitt, MJ Simmering, AW Pittsley. Is It Possible to Make an Accurate Diagnosis Based Only on a Medical History – A Pilot-Study on Womens Knee Joints. Arthroscopy. 1996; 12,6:709-714. Johnson LL, GE Vandyk, CA Johnson, BS Bays, SM Gully. The Popliteal Bursa (Bakers Cyst) – An Arthroscopic Perspective and the Epidemiology. Arthroscopy, 1997, Vol 13, Iss 1, pp 66-72. Jonson SR, MT Gross. Intraexaminer Reliability, Interexaminer Reliability, and Mean-Values for 9 Lower-Extremity Skeletal Measures in Healthy Naval Midshipmen. Journal of Orthopaedic & Sports Physical Therapy, 1997, Vol 25, Iss 4, pp 253-263. Jorn LP, T Friden, L Ryd, A Lindstrand. Persistent Stability 3 Years After Reconstruction of the Anterior Cruciate Ligament – A Radiostereometric Analysis (RSA) of 20 Patients. Acta Orthopaedica Scandinavica. 1997; 68,5:427-429. Judy MM, RW Jackson, HR Nosir, JL Matthews, DE Lewis, RE Utecht, DW Yuan. Repair of Articular-Cartilage and Meniscal Tears by Photoactive Dyes – In-Vivo Study. Laser Applications in Medicine and Dentistry, Proceedings of (Series: Proceedings of the Society of Photo – Optical Instrumentation Engineers (Spie)), 1996, Vol 2922, pp 436-440. Jurimae J J, PJ Abernethy, BM Quigley, K Blake, MT Mceniery. Differences in Muscle Contractile Characteristics Among Bodybuilders, Endurance Trainers and Control Subjects. European Journal of Applied Physiology and Occupational Physiology, 1997, Vol 75, Iss 4, pp 357-362. Juris PM, EM Phillips, C Dalpe, C Edwards, RS Gotlin, DJ Kane. A Dynamic Test of Lower-Extremity Function Following Anterior Cruciate Ligament Reconstruction and Rehabilitation. Journal of Orthopaedic & Sports Physical Therapy. 1997; 26,4:184-191. Kaper BP, CF Carr, TG Shirreffs. Compartment Syndrome After Arthroscopic Surgery of Knee – A Report of 2 Cases Managed Nonoperatively. American Journal of Sports Medicine, 1997, Vol 25, Iss 1, pp 123-125. Kaplan EB. 1958. The iliotibial tract. Clinical and morphological significance. J Bone Joint Surge 40(A):817-831. Katsuhiko S, Kikuchi S. An anatomic study of foraminal nerve root lesions in the lumbar spine. Spine. 1993; 18,15:2246-2251. Kaufer H: Mechanical function of the patella. J Bone Joint Surg 53:1551–60, 1971. Kauhanen S, I Leivo, M Pettila, JE Michelsson. Recovery of Skeletal-Muscle After Immobilization of Rabbit Hindlimb – A Light-Microscopic Study. APMIS. 1996; 104,11:797-804. Kawakami M, Weinstein JN, et al. Experimental lumbar radiculopathy: Immunohistochemical and quantitative demonstrations of pain induced by lumbar nerve root irritation of the rat. Spine. 1994; 19,16:1780-1794. Kawakami M, Weinstein JN, et al. Experimental lumbar radiculopathy: Behavioral and histologic changes in a model of radicular pain after spinal nerve root irritation with chromic gut ligatures in the rat. Spine. 1994; 19,16:1795-1802. Kawamura K. Isokinetic Closed-Kinetic-Chain Strength Testing of the Knee. 8th World Congress of the International Rehabilitation Medicine Association (Irma VIII).1997;141-144. Kdolsky RK, DF Gibbons, O Kwasny, R Schabus, H Plenk. Braided Polypropylene Augmentation Device in Reconstructive Surgery of the Anterior Cruciate Ligament – Long-Term Clinical-Performance of 594 Patients and Short-Term Arthroscopic Results, Failure Analysis by Scanning Electron-Microscopy, and Synovial Histomorphology. Journal of Orthopaedic Research, 1997, Vol 15, Iss 1, pp 1-10. Kellis E, V Baltzopoulos. Agonist and Antagonist Moment and EMG-Angle Relationship During Isokinetic Eccentric and Concentric Exercise. Isokinetics and Exercise Science, 1996, Vol 6, Iss 2, pp 79-87. Kellis E, V Baltzopoulos. The Effects of Normalization Method on Antagonistic Activity Patterns During Eccentric and Concentric Isokinetic Knee Extension and Flexion. Journal of Electromyography and Kinesiology, 1996, Vol 6, Iss 4, pp 235-245. KERNOZEK, T. W., M. R. TORRY, H. VAN HOOF, H. COWLEY, and S. TANNER. Gender Differences in Frontal and Sagittal Plane. Biomechanics during Drop Landings. Med. Sci. Sports Exerc 2005;. 37:1003–1012. Kikuchi S, Sato K, et al. Anatomic and radiographic study of dorsal root ganglia. Spine. 1994; 19,1:6-11. Kim et al. Current trends in anterior cruciate ligament reconstruction. Knee Surg Relat Res. 2013;25(4):165-173. Kim AW, Rosen AM, Brander VA, Buchanan TS. Selective muscle activation following electrical stimulation of the collateral ligaments of the human knee joint. Arch Phys Med Rehab. 1995;76: 750-757. Kim SJ, JH Yoo, HK Kim. Arthroscopic One-Piece Excision Technique for the Treatment of Symptomatic Lateral Discoid Meniscus. Arthroscopy. 1996; 12,6:752-755. Kim SJ, WS Choe. Arthroscopic Findings of the Synovial Plicae of the Knee. Arthroscopy, 1997, Vol 13, Iss 1, pp 33-41. King SJ. Magnetic-Resonance-Imaging of Knee Injuries in Children. European Radiology. 1997; 7,8:1245-1251. Kirkley A et al. The effect of exercise on anterior-posterior of the normal knee and knees with deficient or reconstructed anterior cruciate ligaments. Am J Sports Med 2001; 29:311-4. Klinge K, SP Magnusson, EB Simonsen, P Aagaard, K Klausen, M Kjaer. The Effect of Strength and Flexibility Training on Skeletal-Muscle Electromyographic Activity, Stiffness, and Viscoelastic Stress-Relaxation Response. American Journal of Sports Medicine. 1997; 25,5:710-716. Knapik J, JS Staab, EA Harman. Validity of an Anthropometric Estimate of Thigh Muscle Cross-Sectional Area. Medicine and Science in Sports and Exercise. 1996; 28,12:1523-1530. Knight JL, K Au, MA Whitley. Popliteal Aneurysm Presenting as Chronic Exertional Compartment Syndrome. Orthopedics, 1997, Vol 20, Iss 2, pp 166-169. Koh TJ, Grabiner MD, De Swart RJ. In vivo tracking of the human patella. J Biomechanics. 1992; 25,6:637-643. Kojima M, S Obuchi, Y Shiba. Smoothness Analysis of the Knee During Voluntary Movement in Patients with Anterior Cruciate Ligament Reconstruction – Application of Jerk Index. 8th World Congress of the International Rehabilitation Medicine Association (Irma VIII). 1997;1271-1274. Kowalk DL, JA Duncan, FC Mccue, CL Vaughan. Anterior Cruciate Ligament Reconstruction and Joint Dynamics During Stair Climbing. Medicine and Science in Sports and Exercise. 1997; 29,11:1406-1413. Kramer J, T Handfield, G Kiefer, L Forwell, T Birmingham. Comparisons of Weight-Bearing and Non-Weight-Bearing Tests of Knee Proprioception Performed by Patients with Patellofemoral Pain Syndrome and Asymptomatic Individuals. Clinical Journal of Sport Medicine, 1997, Vol 7, Iss 2, pp 113-118. Kramer JF, T Dubowitz, P Fowler, C Schachter, T Birmingham. Functional Knee Braces and Dynamic Performance – A Review. Clinical Journal of Sport Medicine, 1997, Vol 7, Iss 1, pp 32-39. Krugerfranke M, M Buchner, B Rosemeyer. Midterm Results After Operative Reconstruction of Acl-Reruptures. Unfallchirurg, 1997, Vol 100, Iss 4, pp 274-279. Kulkarni SK, J Ireland. Chondral Separation in the Trochlear Groove – A Definite Clinical Entity. Knee. 1997; 4,4 ;237-240. Kwak SD, Colman WW, Ateshian GA, et al: Anatomy of the human patellofemoral joint articular cartilage: Surface curvature analysis. J Orthop Res. 15:468–472, 1997. Lachiewicz PF, SP Falatyn. Clinical and Radiographic Results of the Total Condylar-III and Constrained Condylar Total Knee Arthroplasty. Journal of Arthroplasty. 1996; 11,8:916-922. Lane JG et al. Matrix assessment of articular cartilage surface after chondroplasty with holmium:yttrium-aluminum-garnet laser. Am J Sports Med 2001; 29:704-8. Laprade RF, CD Hamilton, RD Montgomery, F Wentorf, HD Hawkins. The Reharvested Central 1/3 of the Patellar Tendon – A Histologic and Biomechanical Analysis. American Journal of Sports Medicine. 1997; 25,6:779-785. LaPrade RF, Terry GC. Injuries to the posterolateral aspect of the knee. Association of anatomic injury patterns with clinical instability. LaPrade R, et al. Improving outcomes for posterolateral knee injuries. J Orthop Res. 2014; 32:485-491. Lattanzio PJ, RJ Petrella, JR Sproule, PJ Fowler. Effects of Fatigue on Knee Proprioception. Clinical Journal of Sport Medicine, 1997, Vol 7, Iss 1, pp 22-27. Lephart SM, DM Pincivero, JL Giraldo, FH Fu. The Role of Proprioception in the Management and Rehabilitation of Athletic Injuries. American Journal of Sports Medicine, 1997, Vol 25, Iss 1, pp 130-137. Lewandowski PJ, MJ Askew, DF Lin, FW Hurst, A Melby. Kinematics of Posterior Cruciate Ligament-Retaining and Ligament-Sacrificing Mobile Bearing Total Knee Arthroplasties – An in-Vitro Comparison of the New-Jersey Lcs Meniscal Bearing and Rotating Platform Prostheses. Journal of Arthroplasty. 1997; 12,7:777-784. Lian O, KJ Holen, L Engebretsen, R Bahr. Relationship Between Symptoms of Jumpers Knee and the Ultrasound Characteristics of the Patellar Tendon Among High-Level Male Volleyball Players. Scandinavian Journal of Medicine & Science in Sports. 1996; 6,5:291-296. Lilly S, et al. The effects of meniscotibial joint mobilization for restoring knee extension on meniscal movement: an in-situ investigation. Doctoral dissertation. 2013; submitted for publication. Lim YZ. Are biomechanical factors, meniscal pathology, and physical activity risk factors for bone marrow lesions at the knee? A systematic review: Seminars in Arthritis and Rheumatism. 2013; 43:187–194. Liu SH, RA Alshaikh, V Panossian, GAM Finerman, JM Lane. Estrogen Affects the Cellular-Metabolism of the Anterior Cruciate Ligament – A Potential Explanation for Female Athletic Injury. American Journal of Sports Medicine. 1997; 25,5:704-709. Lo JKY, A Kirkley, PJ Fowler, A Miniaci. The Outcome of Operatively Treated Anterior Cruciate Ligament Disruptions in the Skeletally Immature Child. Arthroscopy. 1997; 13,5:627-634. Lohmander. Magnetic-Resonance-Imaging, Scintigraphy, and Arthroscopic Evaluation of Traumatic Hemarthrosis of the Knee. American Journal of Sports Medicine, 1997, Vol 25, Iss 2, pp 231-237. Loitzramage BJ, CB Frank, NG Shrive. Injury Size Affects Long-Term Strength of the Rabbit Medial Collateral Ligament. Clinical Orthopaedics and Related Research, 1997, Iss 337, pp 272-280. Louisia S. et al. Transchondral drilling for osteochondritis Dissecans of the medial condyle of the knee. Knee Surg, Sports Traumatol, Arthroscop 2003: 11:33-9. Louw M, Deary C. The biomechanical variables involved in the aetiology of iliotibial band syndrome in distance runners – A systematic review of the literature. Phys Ther Sport. 2013; 15:64-75. Lu, T. W., & OConner, J. J. Lines of action and moment arms of the major force-bearing structures crossing the human knee joint: Comparison between theory and experiment. Journal of Anatomy. 1996;189:575-585. Lundberg M, K Messner. 10-Year Prognosis of Isolated and Combined Medial Collateral Ligament Ruptures – A Matched Comparison in 40 Patients Using Clinical and Radiographic Evaluations. American Journal of Sports Medicine, 1997, Vol 25, Iss 1, pp 2-6. Lundberg M, KA Thuomas, K Messner. Evaluation of Knee-Joint Cartilage and Menisci 10 Years After Isolated and Combined Ruptures of the Medial Collateral Ligament – Investigation by Weight-Bearing Radiography, MR-Imaging and Analysis of Proteoglycan Fragments in the Joint Fluid. Acta Radiologica, 1997, Vol 38, Iss 1, pp 151-157. MacIntyre NJ, et al. Patellofemoral joint kinematics in individuals with and without patellofemoral pain syndrome. J Bone Joint Surg Am. 2006;88(12) :2596-605. Maeda A, K Shino, S Horibe, N Matsumoto, N Nakamura, Y Toritsuka. Remodeling of Allogeneic and Autogenous Patellar Tendon Grafts in Rats. Clinical Orthopaedics and Related Research, 1997, Iss 335, pp 298-309. Maffulli N, KM Chan, RC Bundoc, JCY Cheng. Knee Arthroscopy in Chinese Children and Adolescents – An 8-Year Prospective-Study. Arthroscopy, 1997, Vol 13, Iss 1, pp 18-23. Maffulli N, R Grewal. Avulsion of the Tibial Tuberosity – Muscles Too Strong for a Growth-Plate. Clinical Journal of Sport Medicine, 1997, Vol 7, Iss 2, pp 129-132. Maletius W, Messner K. Eighteen- to twenty-four-year follow-up after complete rupture of the anterior cruciate ligament. Am J Sports Med 1999; 27:711-717. Manzotti A, P Baiguini, A Locatelli, P Zucca, V Solomon, G Andreoletti, P Tecchio, G Tecchio. Statistical Evaluation of Mcmurrays Test in the Clinical-Diagnosis of Meniscus Injuries. Journal of Sports Traumatology and Related Research. 1997; 19,2:83-89. Maquirriain J, Megey PJ. Tennis specific limitations in players with an ACL deficient knee. Br J Sports Med. 2006 May;40(5):451-3. Marcacci M, Zaffagnini S, Iacono F, Neri MP, Petitto A. Early versus late reconstruction for anterior cruciate ligament rupture. Results after five years of follow up. Am J Sports Med 1995: 23:690-693. Markolf KL, et al. J Bone Joint Surg Am. 2010;92(11):2067-75. Mariani PP, N Santori, E Adriani, M Mastantuono. Accelerated Rehabilitation After Arthroscopic Meniscal Repair – A Clinical and Magnetic-Resonance-Imaging Evaluation. Arthroscopy. 1996; 12,6:680-686. Markolf KL, JR Slauterbeck, KL Armstrong, MS Shapiro, GAM Finerman. A Biomechanical Study of Replacement of the Posterior Cruciate Ligament with a Graft .1. Isometry, Pre-Tension of the Graft, and Anterior-Posterior Laxity. Journal of Bone and Joint Surgery – American Volume, 1997, Vol 79A, Iss 3, pp 375-380. Markolf KL, JR Slauterbeck, KL Armstrong, MS Shapiro, GAM Finerman. A Biomechanical Study of Replacement of the Posterior Cruciate Ligament with a Graft .2. Forces in the Graft Compared with Forces in the Intact Ligament. Journal of Bone and Joint Surgery – American Volume, 1997, Vol 79A, Iss 3, pp 381-386. Martelli S, A Joukhadar, S Zaffagnini, M Marcacci. Development and Validation of a Fiber-Based Acl Model for Surgical Simulations. Cvrmed – Mrcas’97 (Series: Lecture Notes in Computer Science). 1997; 1205:644-652. Martin SD, WG Clancy. Posterolateral Instability of the Knee – Treatment Using the Clancy Biceps Femoris Tenodesis. Operative Techniques in Sports Medicine, 1996, Vol 4, Iss 3, pp 182-191. Marudanayagam A, Gnanadoss JJ. Secondary aneurysmal bone cyst of the patella: a case report. Iowa Orthop J. 2006;26:144-6. Masri BA, Mccormack RG. The effect of knee flexion and quadriceps contraction on the axial view of the patella. Clin J Sports Med. 1995; 5,1:9-17. Matava MJ, CD Brown. Osteochondritis-Dissecans of the Patella – Arthroscopic Fixation with Bioabsorbable Pins. Arthroscopy, 1997, Vol 13, Iss 1, pp 124-128. Matthews LS, Sonstegard DA, Henke JA: Load bearing characteristics of the patello-femoral joint. Acta Orthop Scand 48:511–516, 1977. Mccalden RW, JA Mcgeough, CM Courtbrown. Age-Related-Changes in the Compressive Strength of Cancellous Bone – The Relative Importance of Changes in Density and Trabecular Architecture. Journal of Bone and Joint Surgery – American Volume, 1997, Vol 79A, Iss 3, pp 421-427. Mcclay I, K Manal. Coupling Parameters in Runners with Normal and Excessive Pronation. Journal of Applied Biomechanics, 1997, Vol 13, Iss 1, pp 109-124. Mcdougall JJ, RC Bray, KA Sharkey. Morphological and Immunohistochemical Examination of Nerves in Normal and Injured Collateral Ligaments of Rat, Rabbit, and Human Knee Joints. Anatomical Record, 1997, Vol 248, Iss 1, pp 29-39. Mcguire DA, FA Barber, SD Hendricks. Meniscal Impingement Syndrome. Arthroscopy. 1996; 12,6:675-679. McLain RF, Weinstein JN. Morphometric model of normal rabbit dorsal root ganglia. Spine. 1993; 18,13:1746-1752. McMillan JA, Hannon PR, Stevenson LM, van Natta TL. Effects of body position on crossed extension reflex in decerebrate cat: rectus femoris is more sensitive than is vastus medialis. Brain Research. 1991; 538,1:152-156. Mense S. Group-III and Group-IV Receptors in Skeletal-Muscle – Are They Specific or Polymodal. Polymodal Receptor – A Gateway to Pathological Pain (Series: Progress in Brain Research), 1996, Vol 113, pp 83-100. Messner K, Fahlgren A, Persliden J, Andersson BM. Radiographic joint space narrowing and histologic changes in a rabbit meniscectomy model of early knee osteoarthrosis. Am J Sports Med, 2001, 29; 151-60. Metak G, MA Scherer. Diagnostic and Therapeutic Standards of Meniscus Lesions – Results from an Inquiry. Zentralblatt Fur Chirurgie. 1997; 122,8:690-697. Migaud H, et al. Influence of Posterior Tibial Slope on Anterior Tibial Translation and Mobility After a Non Constrained Total Knee Arthroplasty. Revue de Chirurgie Orthopedique et Reparatrice de L Appareil Moteur, 1996, Vol 82, Iss 1, pp 7-13. Miller JP, D Sedory, RV Croce. Leg Rotation and Vastus Medialis Oblique Vastus Lateralis Electromyogram Activity Ratio During Closed Chain Kinetic Exercises Prescribed for Patellofemoral Pain. Journal of Athletic Training. 1997; 32,3:216-220. Miller JP, D Sedory, RV Croce. Vastus Medialis Obliquus and Vastus Lateralis Activity in Patients with and Without Patellofemoral Pain Syndrome. Journal of Sport Rehabilitation, 1997, Vol 6, Iss 1, pp 1-10. Miller RK, DW Murray, HS Gill, JJ Oconnor, JW Goodfellow. In-Vitro Patellofemoral Joint Force Determined by a Noninvasive Technique. Clinical Biomechanics, 1997, Vol 12, Iss 1, pp 1-7. Millet PJ et al. Motion loss after ligament injuries of the knee; Part 1: Causes. Am J Sports Med 2001; 29:664-79. Mishra AK, KA Jurist. Symptomatic Cyamella. Arthroscopy, 1996, Vol 12, Iss 3, pp 327-329. Miyasaka KC, CS Ranawat, A Mullaji. 10-Year to 20-Year Follow-Up of Total Knee Arthroplasty for Valgus Deformities. Clinical Orthopaedics and Related Research. 1997; 345 ;29-37. Moeller JL, MM Lamb. Anterior Cruciate Ligament Injuries in Female Athletes – Why Are Women More Susceptible. Physician and Sportsmedicine, 1997, Vol 25, Iss 4, pp 31. Mohan B, Gosal H. Reliability of clinical diagnosis in meniscal tears. Int Orthop. 2006 Apr 22. Mommersteeg TJA, R Huiskes, L Blankevoort, JGM Kooloos, JMG Kauer. An Inverse Dynamics Modeling Approach to Determine the Restraining Function of Human Knee Ligament Bundles. Journal of Biomechanics, 1997, Vol 30, Iss 2, pp 139-146. Mommersteeg TJA, R Huiskes, L Blankevoort, JGM Kooloos, JMG Kauer. An Inverse Dynamics Modeling Approach to Determine the Restraining Function of Human Knee Ligament Bundles. J Biomech. 1997; 30,2: 139-146. Mont MA, IM Tomek, DS Hungerford. Core Decompression for Avascular Necrosis of the Distal Femur – Long-Term Follow-Up. Clinical Orthopaedics and Related Research, 1997, Iss 334, pp 124-130. Morelli V, Braxton T. Meniscal, plica, patellar, and patelofemoral injuries of the knee: Updates, controversies and advancements. Prim Care Clin Ofice Pract. 2013; 40:357-382. Morrish GM, RC Woledge. A Comparison of the Activation of Muscles Moving the Patella in Normal Subjects and in Patients with Chronic Patellofemoral Problems. Scandinavian Journal of Rehabilitation Medicine, 1997, Vol 29, Iss 1, pp 43-48. Mortaza et al. Influence of functional knee bracing on the isokinetic and functional tests of anterior cruciate ligament deficient patients. PLoS ONE 8(5): e64308. 2013. Mow VC, Hayes WC: Basic Orthopaedic Biomechanics. Ed 2. New York, Lippincott-Raven 1991. Mow VC, Ratcliffe A, Poole AR: Cartilage and diarthrodial joints as paradigms for hierarchical materials and structures. Biomaterials 13:67–97, 1992. Muellner T, R Weinstabl, R Schabus, V Vecsei, F Kainberger. The Diagnosis of Meniscal Tears in Athletes – A Comparison of Clinical and Magnetic-Resonance-Imaging Investigations. American Journal of Sports Medicine, 1997, Vol 25, Iss 1, pp 7-12. Muller G, M Hanschke. In-Vitro Model of Characterizing the Effects of Compressive Loading on Proteoglycans in Anatomically Intact Articular-Cartilage. International Journal of Sports Medicine. 1997; 18,6:438-448. Mulroy SJ, KD Lassen, SH Chambers, J Perry. The Ability of Male and Female Clinician to Effectively Test Knee Extension Strength Using Manual Muscle Testing. Journal of Orthopaedic & Sports Physical Therapy. 1997; 26,4:192-199. Muneta T, K Takakuda, H Yamamoto. Intercondylar Notch Width and Its Relation to the Configuration and Cross-Sectional Area of the Anterior Cruciate Ligament – A Cadaveric Knee Study. American Journal of Sports Medicine, 1997, Vol 25, Iss 1, pp 69-72. Munich H, D Cipriani, C Hall, D Nelson, J Falkel. The Test-Retest Reliability of an Inclined Squat Strength Test Protocol. Journal of Orthopaedic & Sports Physical Therapy. 1997; 26,4:209-213. Murakami S, T Muneta, Y Ezura, K Furuya, H Yamamoto. Quantitative-Analysis of Synovial Fibrosis in the Infrapatellar Fat Pad Before and After Anterior Cruciate Ligament Reconstruction. American Journal of Sports Medicine, 1997, Vol 25, Iss 1, pp 29-34. Murao T, M Ochi, J Jitsuiki, Y Ikuta. The Adverse-Effects of Sectioning the Posterior Cruciate Ligament in Rabbits – Changes in the Structural and Morphological Properties of the Femur-Anterior Cruciate Ligament-Tibia Complex. Archives of Orthopaedic and Trauma Surgery. 1997; 116,1-2:1-5. Nadeau S, D Gravel, LJ Hebert, AB Arsenault, Y Lepage. Gait Study of Patients with Patellofemoral Pain Syndrome. Gait & Posture, 1997, Vol 5, Iss 1, pp 21-27. Navali AM, et al. Arthroscopic evaluation of the accuracy of clinical examination versus MRI in diagnosing meniscus tears and cruciate ligament ruptures. Arch Iran Med. 2013; 16:229-232. Nebelung W, Wuschech H. Thirty-five years of follow-up of anterior cruciate ligament-deficient knees in high-level athletes. Arthroscopy. 2005;21(6):696-702. Neeb TB, G Aufdemkampe, JHD Wagener, L Mastenbroek. Assessing Anterior Cruciate Ligament Injuries – The Association and Differential Value of Questionnaires, Clinical-Tests, and Functional Rests. Journal of Orthopaedic & Sports Physical Therapy. 1997; 26,6:324-331. Nemeth G, M Lamontagne, KS Tho, E Eriksson. Electromyographic Activity in Expert Downhill Skiers Using Functional Knee Braces After Anterior Cruciate Ligament Injuries. American Journal of Sports Medicine. 1997; 25,5:635-641. Ng GYF, BW Oakes, OW Deacon, ID Mclean, DR Eyre. Long-Term Study of the Biochemistry and Biomechanics of Anterior Cruciate Ligament-Patellar Tendon Autografts in Goats. Journal of Orthopaedic Research, 1996, Vol 14, Iss 6, pp 851-856. Nguyen et al. The impact of knee instability with and without buckling on balance conﬁdence, fear of falling and physical function: the Multicenter Osteoarthritis Study. Osteoarthritis and Cartilage. 2014; 22:527e534. Nietosvaara Y, K Aalto. The Cartilaginous Femoral Sulcus in Children with Patellar Dislocation – An Ultrasonographic Study. Journal of Pediatric Orthopaedics. 1997; 17,1:50-53. Ninos JC, JJ Irrgang, R Burdett, JR Weiss. Electromyographic Analysis of the Squat Performed in Self-Selected Lower-Extremity Neutral Rotation and 30-Degrees of Lower-Extremity Turn-Out from the Self-Selected Neutral Position. Journal of Orthopaedic & Sports Physical Therapy, 1997, Vol 25, Iss 5, pp 307-315. Nishimura G, M Yamato, K Tamai, J Takahashi, M Uetani. MR Findings in Iliotibial Band Syndrome. Skeletal Radiology. 1997; 26,9:533-537. Noehren B1, Hamill J, Davis I. Prospective evidence for a hip etiology in patellofemoral pain. Noyes FR, SD Barberwestin. Anterior Cruciate Ligament Reconstruction with Autogenous Patellar Tendon Graft in Patients with Articular-Cartilage Damage. American Journal of Sports Medicine. 1997; 25,5:626-634. Noyes FR, SD Barberwestin. Arthroscopic-Assisted Allograft Anterior Cruciate Ligament Reconstruction in Patients with Symptomatic Arthrosis. Arthroscopy, 1997, Vol 13, Iss 1, pp 24-32. Nyland JA, DNM Caborn, JA Brosky, CL Kneller, G Freidhoff. Anthropometric, Muscular Fitness, and Injury History Comparisons by Gender of Youth Soccer Teams. Journal of Strength and Conditioning Research, 1997, Vol 11, Iss 2, pp 92-97. Nyland JA, R Shapiro, DNM Caborn, AJ Nitz, TR Malone. The Effect of Quadriceps Femoris, Hamstring, and Placebo Eccentric Fatigue on Knee and Ankle Dynamics During Crossover Cutting. Journal of Orthopaedic & Sports Physical Therapy, 1997, Vol 25, Iss 3, pp 171-184. Obedian RS, RP Grelsamer. Osteochondritis-Dissecans of the Distal Femur and Patella. Clinics in Sports Medicine, 1997, Vol 16, Iss 1, pp 157. Ochi M, T Kanda, Y Sumen, Y Ikuta. Changes in the Permeability and Histologic-Findings of Rabbit Menisci After Immobilization. Clinical Orthopaedics and Related Research, 1997, Iss 334, pp 305-315. Ogata K. Arthroscopic Technique – 2-Piece Excision of Discoid Meniscus. Arthroscopy. 1997; 13,5:666-670. Olmarker K. The spinal nerve roots. Acta Orthop Scand, Supplement. 1991; 62:1-24. Oneill DB. Open Lateral Retinacular Lengthening Compared with Arthroscopic Release – A Prospective Randomized Outcome Study. Journal of Bone and Joint Surgery. 1997; 79A,12:1759-1769. Orchard J, J Marsden, S Lord, D Garlick. Preseason Hamstring Muscle Weakness Associated with Hamstring Muscle Injury in Australian Footballers. American Journal of Sports Medicine, 1997, Vol 25, Iss 1, pp 81-85. Osti M, et al. Posteroltaeral corner of the knee: Microsurgical analysis of anatomy and morphometry. Orthopedics. 2013; 36:e1114-20. Ostrowski JA. Accuracy of 3 diagnostic tests for anterior cruciate ligament tears. J Athl Train. 2006 Jan-Mar;41(1):120-1. Outerbridge HK, Outerbridge RE, Smith DE. Osteochondral defects in the knee; A treatment using lateral patellar autografts. Clin Orthop Rel Res. 2000; 377: 145-151. Owen JH, Bridwell KH, Lenke LG. Innervation pattern of dorsal roots and their effects on the specificity of dermatomal somatosensory evoked potentials. Spine. 1993; 18,6:748-754. Padua DA. Neuromuscular characteristics of individuals displaying excessive medial knee displacement. 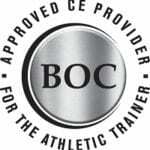 J Athletic Training 2012;47(5):525–536. Paletta GA, T Manning, E Snell, R Parker, J Bergfeld. The Effect of Allograft Meniscal Replacement on Intraarticular Contact Area and Pressures in the Human Knee – A Biomechanical Study. American Journal of Sports Medicine. 1997; 25,5:692-698. Palm HG. Effects of knee bracing on postural control after anterior cruciate ligament rupture. The Knee 19 (2012) 664–671. Panni AS, G Milano, L Lucania, C Fabbriciani. Graft Healing After Anterior Cruciate Ligament Reconstruction in Rabbits. Clinical Orthopaedics and Related Research. 1997; 343:203-212. Pap G, A Machner, F Awiszus. Proprioceptive Deficits in Anterior Cruciate Ligament Deficient Knees – Do They Really Exist. Sports Exercise and Injury. 1997; 3,3:139-142. Paquet N, CWY Huichan. Extensor Muscle Responses to Tibial Nerve-Stimulation Are Enhanced During Dynamic Tilts in Standing Humans. Neuroscience Letters, 1997, Vol 222, Iss 1, pp 13-16. Parolie JM. Long-term results of non-operative treatment of isolated posterior cruciate ligament injuries in the athlete. Am J Sports Med. 1986;14:35-38. Parsch D et al. [Projections and fiber characteristics of sensory afferents of the anterior cruciate ligament in an animal experiment. Unfallchirurgie 1996; 22:193-201. Patterson PE, J Eason. The Effects of Prophylactic Brace Construction Materials on the Reactive Responses of the MCL During Repetitive Impacts. Journal of Athletic Training. 1996; 31,4:329-333. Paulos LE, Wnorowski DC, Greenwald AE. Infrapatellar contracture syndrome: diagnosis, treatment, and long-term followup. Am J Sports Med. 1994; 22,4:440-448. Pedrini-Mille A, Weinstein JN. Stimulation of dorsal root ganglia and degradation of rabbit annulus fibrosus. Spine. 1990; 15,12:1252-1256. Pena E, Calvo B, Martinez MA, Palanca D, Doblare M. Why lateral meniscectomy is more dangerous than medial meniscectomy. A finite element study. J Orthop Res. 2006;24(5):1001-10. Perdikakis E, Skiadas V. MRI characteristics of cysts and “cyst-like” lesions in and around the knee: what the radiologist needs to know. Insights Imaging. 2013; 4:257-272. Perdue PS, CD Hummer, AJ Colosimo, RS Heidt, SG Dormer. Meniscal Repair – Outcomes and Clinical Follow-Up. Arthroscopy. 1996; 12,6:694-698. Petermann J, P Trus, M Kuennecke, L Gotzen. The Modified Pivot-Shift Test as a Diagnostic Confirmation in Anterior Ligament Rupture. Langenbecks Archiv Fur Chirurgie. 1996; Suppl. 2:1219-1219. Peters G, CJ Wirth, D Kohn. Comparison of Knee Ligament Rating Systems. Zeitschrift Fur Orthopadie und Ihre Grenzgebiete, 1997, Vol 135, Iss 1, pp 63-69. W Petersen, T Zantop. Anatomy of the anterior cruciate ligament with regard to its two bundles. Clinical Orthopaedics and Related Research, 2007;454:35-47. Petje G, F Landsiedl. Stress-Fracture of the Tibia After Total Knee Arthroplasty. Archives of Orthopaedic and Trauma Surgery. 1997; 116,8:514-515. Petschnig R, R Baron. Assessment of Metabolic Response and Functional-Changes After Anterior Cruciate Ligament Surgery. Medicine and Science in Sports and Exercise, 1997, Vol 29, Iss 1, pp 3-9. Pfirrman C. Joint magnetic resonance imaging: normal variants and pitfalls related to sports injury. Radiol Clin North Am. 2002;40(2):167-180. Pincivero DM, SM Lephart, RG Karunakara. Relation Between Open and Closed Kinematic Chain Assessment of Knee Strength and Functional Performance. Clinical Journal of Sport Medicine, 1997, Vol 7, Iss 1, pp 11-16. Pinczewski LA, AJ Clingeleffer, DD Otto, SF Bonar, IS Corry. Integration of Hamstring Tendon Graft with Bone in Reconstruction of the Anterior Cruciate Ligament. Arthroscopy. 1997; 13,5:641-643. Pinczewski LA, P Thuresson, D Otto, F Nyquist. Arthroscopic Posterior Cruciate Ligament Reconstruction Using 4-Strand Hamstring Tendon Graft and Interference Screws. Arthroscopy. 1997; 13:661-665. Pollard H, G Ward. Strength Change of Quadriceps Femoris Following a Single Manipulation of the L3/4 Vertebral Motion Segment – A Preliminary Investigation. Jnms – Journal of the Neuromusculoskeletal System. 1996; 4,4:137-144. Popp JE, JS Yu, CC Kaeding. Recalcitrant Patellar Tendinitis – Magnetic-Resonance-Imaging, Histologic Evaluation, and Surgical-Treatment. American Journal of Sports Medicine, 1997, Vol 25, Iss 2, pp 218-222. Post WR: Clinical evaluation of patients with patellofemoral disorders. Arthroscopy 15:841–851, 1999. Potter HG, P Gusmer. Imaging of the Collateral Ligament Injuries of the Knee. Operative Techniques in Sports Medicine, 1996, Vol 4, Iss 3, pp 158-165. Powers CM, J Perry, A Hsu, HJ Hislop. Are Patellofemoral Pain and Quadriceps Femoris Muscle Torque Associated with Locomotor Function. Physical Therapy. 1997; 77,10:1063-1075. Powers CM, R Landel, T Sosnick, J Kirby, K Mengel, A Cheney, J Perry. The Effects of Patellar Taping on Stride Characteristics and Joint Motion in Subjects with Patellofemoral Pain. Journal of Orthopaedic & Sports Physical Therapy. 1997; 26,6:286-291. Poynton AR, SM Javadpour, PJ Finegan, M Obrien. The Meniscofemoral Ligaments of the Knee. Journal of Bone and Joint Surgery – British Volume, 1997, Vol 79B, Iss 2, pp 327-330. Prins MR, van der Wurff P. Females with patellofemoral pain syndrome have weak hip muscles: a systematic review. Aust J Physiother. 2009;55(1):9-15. Pritchett JW. Substance-P Level in Synovial-Fluid May Predict Pain Relief After Knee Replacement. Journal of Bone and Joint Surgery – British Volume, 1997, Vol 79B, Iss 1, pp 114-116. Rader CP, J Lohr, R Wittmann, J Eulert. Results of Total Knee Arthroplasty with a Metal-Backed Patellar Component – A 6-Year Follow-Up-Study. Journal of Arthroplasty. 1996; 11,8:923-930. Ramseier LE, Werner CM, Heinzelmann M. Quadriceps and patellar tendon rupture. Injury. 2006;37(6):516-9. Rangger C, A Kathrein, T Klestil, W Glotzer. Partial Meniscectomy and Osteoarthritis – Implications for Treatment of Athletes. Sports Medicine, 1997, Vol 23, Iss 1, pp 61-68. Raunest J. Sager M. Burgener E. Proprioceptive mechanisms in the cruciate ligaments: an electromyographic study on reflex activity in the thigh muscles. Journal of Trauma. 1996;41:488-493. Reider B, Marshall JL, Ring B: Patellar tracking. Clin Orthop 157:143–148, 1981. Reith JD, TW Bauer, MJ Joyce. Paraarticular Osteochondroma of the Knee – Report of 2 Cases and Review of the Literature. Clinical Orthopaedics and Related Research, 1997, Iss 334, pp 225-232. Rhalmi S, Yahia L, et al. Immunohistochemical study of nerves in lumbar spine ligaments. Spine. 1993; 18,2; 264-267. Richter M, L Durselen, A Ignatius, F Missler, L Claes, H Kiefer. Acutely Repaired Proximal Anterior Cruciate Ligament Ruptures in Sheep – By Augmentation Improved Stability and Reduction of Cartilage Damage. Journal of Materials Science – Materials in Medicine. 1997; 8,12:855-859. Risberg MA, Mork M, Jenssen HK, Holm I. Design and implementation of a neuromuscular training program following anterior cruciate ligament reconstruction. J Orthop Sports Med 2001: 31:620-31. Roberts D, Friden T, Stromberg A, Lindstrand A, Moritz U. Bilateral proprioceptive defects in patients with a unilateral anterior cruciate ligament reconstruction: A comparison between patients and healthy individuals. J Orthop Res 2000;18:565-71. Robinson RL, Nee RJ. Analysis of hip strength in females seeking physical therapy treatment for unilateral patellofemoral pain syndrome. J Orthop Sports Phys Ther. 2007;37(5):232-8. Roos MR, CL Rice, AA Vandervoort. Age-Related-Changes in Motor Unit Function. Muscle & Nerve, 1997, Vol 20, Iss 6, pp 679-690. Rose N, Gold S. A comparison of accuracy between clinical examination and magnetic resonance imaging in the diagnosis of meniscal and anterior cruciate ligament tears. Arthroscopy. 1996;12(4):398-405. Rosenberg TD, GC Brown, KT Deffner. Anterior Cruciate Ligament Reconstruction with a Quadrupled Semitendinosus Autograft. Sports Medicine and Arthroscopy Review, 1997, Vol 5, Iss 1, pp 51-58. Ross CM. Test-Retest Reliability of the Lateral Step-Up Test in Young-Adult Healthy-Subjects. Journal of Orthopaedic & Sports Physical Therapy, 1997, Vol 25, Iss 2, pp 128-132. Rutherford DJ et al. Knee effusion affects knee mechanics and muscle activity during gait in individuals with knee osteoarthritis. Osteoarthritis & Cartilage. 2012; 20:974-981. Ryd L, J Karrholm, P Ahlvin. Knee Scoring Systems in Gonarthrosis – Evaluation of Interobserver Variability and the Envelope of Bias. Acta Orthopaedica Scandinavica, 1997, Vol 68, Iss 1, pp 41-45. Rydevik BL. Etiology of sciatica. In: Weinstein JN, Wiesel SW, eds. The lumbar Spine. Philadelphia, PA: W.B. Saunders Company; 1990: 102-109. Saal JS. The role of inflammation in lumbar pain. Spine. 1995; 20,16:1821-1827. Sahlstrom A, F Montgomery. Risk Analysis of Occupational Factors Influencing the Development of Arthrosis of the Knee. European Journal of Epidemiology. 1997; 13,6:675-679. Sakane M, RJ Fox, SLY Woo, GA Livesay, G Li, FH Fu. In-Situ Forces in the Anterior Cruciate Ligament and Its Bundles in Response to Anterior Tibial Loads. Journal of Orthopaedic Research, 1997, Vol 15, Iss 2, pp 285-293. Satterwhite Y. The Anatomy and Biomechanics of the Medial Structures of the Knee. Operative Techniques in Sports Medicine, 1996, Vol 4, Iss 3, pp 134-140. Scapinelli R. Vascular Anatomy of the Human Cruciate Ligaments and Surrounding Structures. Clinical Anatomy, 1997, Vol 10, Iss 3, pp 151-162. Scarvell JM, Smith PN, Refshauge KM, Galloway HR, Woods KR. Does anterior cruciate ligament reconstruction restore normal knee kinematics? :A prospective MRI analysis over two years. JBJS Br. 2006 Mar;88(3):324-30. Schein A, et al. Structure and function, injury, pathology, and treatment of the medial colleratal ligament of the knee. Emerg Radiol. 2012; 19:489-498. Scher DM, JC Paumier, PE Dicesare. Pseudomeniscus Following Total Knee Arthroplasty as a Cause of Persistent Knee Pain. Journal of Arthroplasty, 1997, Vol 12, Iss 1, pp 114-118. Scherping SC, CC Schmidt, HI Georgescu, CK Kwoh, CH Evans, SLY Woo. Effect of Growth-Factors on the Proliferation of Ligament Fibroblasts from Skeletally Mature Rabbits. Connective Tissue Research, 1997, Vol 36, Iss 1, pp 1-8. Schmalzried TP, KH Akizuki, AN Fedenko, J Mirra. The Role of Access of Joint Fluid to Bone in Periarticular Osteolysis – A Report of 4 Cases. Journal of Bone and Joint Surgery – American Volume, 1997, Vol 79A, Iss 3, pp 447-452. Schneider T, W Menke, B Fink, W Ruther, KP Schulitz. Recurrent Dislocation of the Patella and the Goldthwait Operation. Archives of Orthopaedic and Trauma Surgery. 1997; 116,1-2:46-49. Schoettle PB, Werner CM, Romero J. Reconstruction of the medial patellofemoral ligament for painful patellar subluxation in distal torsional malalignment: a case report. Arch Orthop Trauma Surg. 2005;125(9):644-8. Schwarz W, J Hagelstein, R Minholz, M Schierlinger, B Danz, H Gerngross. Manual Sonometry of the Knee – A Practical Method for Diagnosis of Acute Rupture of the Acl. Unfallchirurg, 1997, Vol 100, Iss 4, pp 280-285. Scranton PE, JP Whitesel, JW Powell, SG Dormer, RS Heidt, G Losse, PW Cawley. A Review of Selected Noncontact Anterior Cruciate Ligament Injuries in the National-Football-League. Foot & Ankle International. 1997; 18,12:772-776. Selfe J, Callaghan M, Witvrouw E, et al. Targeted interventions for patellofemoral pain syndrome (TIPPS): classification of clinical subgroups. BMJ Open 2013;3:e003795. Seitz H, S Marlovits, T Wielke, V Vecsei. Meniscal Injury in Isolated Anterior Cruciate Ligament Insufficiency. Wiener Klinische Wochenschrift. 1996; 108,22:727-730. Sengupta M, Zhang YQ, Niu JB, Guermazi A, Grigorian M, Gale D, Felson DT, Hunter DJ. High signal in knee osteophytes is not associated with knee pain. Osteoarthritis Cartilage. 2006 May;14(5):413-7. Shabshin N, Schweitzer ME, Morrison WB. Quadriceps fat pad edema: significance on magnetic resonance images of the knee. Skeletal Radiol. 2006 May;35(5):269-74. Sharkey NA, SW Donahue, TS Smith, BK Bay, RA Marder. Patellar Strain and Patellofemoral Contact After Bone-Patellar Tendon-Bone Harvest for Anterior Cruciate Ligament Reconstruction. Archives of Physical Medicine and Rehabilitation, 1997, Vol 78, Iss 3, pp 256-263. Shefelbine SJ, Ma CB, Lee KY, et al. MRI analysis of in vivo meniscal and tibiofemoral kinematics in ACL-deficient and normal knees. J Orthop Res. 2006 May 1. Shelbourne et al. The relationship between intercondylar notch width of the femur and the incidence of ACL tear. Am J Sports Med. 1998;26,3: 402-408. Shelbourne KD, Foulk DA. Timing of surgery in acute anterior cruciate ligament tears on the return of quadricecps muscle strength after reconstruction using an autogenous patellar tendon graft. Am J Sports Med 1995: 23:686-689. Shelbourne KD, RV Trumper. Preventing Anterior Knee Pain After Anterior Cruciate Ligament Reconstruction. American Journal of Sports Medicine, 1997, Vol 25, Iss 1, pp 41-47. Shelbourne KD, T Gray. Anterior Cruciate Ligament Reconstruction with Autogenous Patellar Tendon Graft Followed by Accelerated Rehabilitation – A 2-Year to 9-Year Follow-Up. American Journal of Sports Medicine. 1997; 25,6:786-795. Shelbourne KD, TE Klootwyk, MS Decarlo. Rehabilitation Program for Anterior Cruciate Ligament Reconstruction. Sports Medicine and Arthroscopy Review, 1997, Vol 5, Iss 1, pp 77-82. Shelburne KD, MG Pandy. Musculoskeletal Model of the Knee for Evaluating Ligament Forces During Isometric Contractions. Journal of Biomechanics, 1997, Vol 30, Iss 2, pp 163-176. Shelbourne KD, Henne TD, Gray T. Recalcitrant patellar tendinosis in elite athletes: surgical treatment in conjunction with aggressive postoperative rehabilitation. Am J Sports Med. 2006;34(7):1141-6. Shepard M, Hunter D, Davies M, Shapiro M, Seeger L. The clinical significance of anterior horn meniscal tears diagnosed on magnetic resonance images. AJSM. 2002;30(2):189-192. Shih WJ, ER Banks, M Purcell, P Nicholls. Multiple Imagings to Diagnose the Chondrosseous Metaplasia Within a Lipoma Near the Knee. Archives of Orthopaedic and Trauma Surgery, 1997, Vol 116, Iss 3, pp 181-183. Shiraishi M et al. Stabilometic assessment in the anterior cruciate ligament-reconstructed knee. Clin J Sports Med 1996; 6:32-9. Shirakura K, M Niijima, Y Kobuna, S Kizuki. Free Synovium Promotes Meniscal Healing – Synovium, Muscle and Synthetic Mesh Compared in Dogs. Acta Orthopaedica Scandinavica, 1997, Vol 68, Iss 1, pp 51-54. Simonian PT, PS Sussmann, M Vantrommel, TL Wickiewicz, RF Warren. Popliteomeniscal Fasciculi and Lateral Meniscal Stability. American Journal of Sports Medicine. 1997; 25,6:849-853. Simonian PT, PS Sussmann, TL Wickiewicz, HG Potter, M Vantrommel, S Weilandholland, RF Warren. Popliteomeniscal Fasciculi and the Unstable Lateral Meniscus – Clinical Correlation and Magnetic-Resonance Diagnosis. Arthroscopy, 1997; 13,5:590-596. Smith J, JE Szczerba, BL Arnold, DE Martin, DH Perrin. Role of Hyperpronation as a Possible Risk Factor for Anterior Cruciate Ligament Injuries. Journal of Athletic Training, 1997, Vol 32, Iss 1, pp 25-28. Smith SA, Massie JB, et al. Straight leg raising: anatomical effects on the spinal nerve root without and with fusion. Spine. 1993; 18,8:992-999. Smith TO et al. The contemporary management of anterior knee pain and patellofemoral instability. The Knee 20 S1 (2013) S3–S15. Smyth MJ, Wright V. Sciatica and the intervertebral disc: An experimental study. J Bone and Joint Surg. 1958;40A:1401-1418. Snydermackler L, GK Fitzgerald, AR Bartolozzi, MG Ciccotti. The Relationship Between Passive Joint Laxity and Functional Outcome After Anterior Cruciate Ligament Injury. American Journal of Sports Medicine, 1997, Vol 25, Iss 2, pp 191-195. Somes S, TW Worrell, B Corey, CD Ingersol. Effects of Patellar Taping on Patellar Position in the Open and Closed Kinetic Chain – A Preliminary-Study. Journal of Sport Rehabilitation. 1997; 6,4:299-308. Sonoda M, FL Harwood, Y Wada, H Moriya, D Amiel. The Effects of Hyaluronan on the Meniscus and on the Articular-Cartilage After Partial Meniscectomy. American Journal of Sports Medicine. 1997; 25,6:755-762. Souza RB, Powers CM. Predictors of hip internal rotation during running: an evaluation of hip strength and femoral structure in women with and without patellofemoral pain. Am J Sports Med. 2009;37(3):579-87. Spencer DL. Mechanisms of nerve root compression due to a herniated disc. In: Weinstein JN, Wiesel SW, eds. The lumbar Spine. Philadelphia, PA: W.B. Saunders Company; 1990:141-145. Spindler KP, SW Clark, LB Nanney, JM Davidson. Expression of Collagen and Matrix Metalloproteinases in Ruptured Human Anterior Cruciate Ligament – An in-Situ Hybridization Study. Journal of Orthopaedic Research, 1996, Vol 14, Iss 6, pp 857-861. Spritzer CE, DL Courneya, DL Burk, WE Garrett, JA Strong.Medial Retinacular Complex Injury in Acute Patellar Dislocation – MR Findings and Surgical Implications. American Journal of Roentgenology. 1997; 168,1:117-122. Stanitski C, C Sherman. How I Manage Physeal Fractures About the Knee. Physician and Sportsmedicine, 1997, Vol 25, Iss 4, pp 108. Staubli HU. Stress Radiography to Document Cruciate Ligament Function. Sports Medicine and Arthroscopy Review, 1997, Vol 5, Iss 1, pp 1-10. Staubli HU. The Quadriceps Tendon Patellar Bone Construct for Acl Reconstruction. Sports Medicine and Arthroscopy Review, 1997, Vol 5, Iss 1, pp 59-67. Stein D. et al. Cysts about the knee: evaluation and management. J Am Acad Orthop Surg. 2013; 21:469-479. Stergiou N, BT Bates. The Relationship Between Subtalar and Knee-Joint Function as a Possible Mechanism for Running Injuries. Gait & Posture. 1997; 6,3:177-185. K Stewart, et al. The effect of growth factor treatment on meniscal chondrocyte proliferation and differentiation on polyglycolic acid scaffolds. Tissue Engineering, 2007;13:271-280. Stockle U, R Hoffmann, J Schwedtke, J Lubrich, T Vogl, NP Sudkamp. Diagnostic-Value of MRI for Reconstructed Cruciate Ligaments. Unfallchirurg, 1997, Vol 100, Iss 3, pp 212-218. Stone KR, JR Steadman, WG Rodkey, ST Li. Regeneration of Meniscal Cartilage with Use of a Collagen Scaffold – Analysis of Preliminary Data. Journal of Bone and Joint Surgery. 1997; 79A,12:1770-1777. Stowers S. Biomechanical Terminology Applied to the Knee-Joint. Sports Medicine and Arthroscopy Review. 1996; 4,4:308-312. Strand T, FK Sorensen, E Solheim. Undiagnosed Anterior Cruciate Ligament Rupture – A Common Problem with Poor-Prognosis. Annales Chirurgiae et Gynaecologiae. 1997; 86,3:244-247. Suganuma J et al. Magnetic resonance imaging and arthroscopic findings of the popliteomeniscal fasciciles with and without recurrent subluxation of the lateral meniscus. J Arthros Rel Res. 2012; 28:507-516. Sugita T, Amis AA. Anatomical and biomechanical study of the lateral collateral and popliteofibular ligaments. Am J Sports Med 2001; 29:466-72. Sutherland TB. Bracing for Collateral Ligament Injuries of the Knee. Operative Techniques in Sports Medicine, 1996, Vol 4, Iss 3, pp 202-208. Takai S, Woo SL, Livesay GA, Adams DJ, Fu FH. Determination of the in situ loads on the human anterior cruciate ligament. J Orthop Res. 1993;11:686-695. Takeuchi N, Y Suzuki, Y Sagehashi, T Yamaguchi, H Itoh, H Iwata. Histologic Examination of Meniscal Repair in Rabbits. Clinical Orthopaedics and Related Research, 1997, Iss 338, pp 253-261. Tamaki H, K Kitada, T Akamine, T Sakou, H Kurata. Electromyogram Patterns During Plantarflexions at Various Angular Velocities and Knee Angles in Human Triceps Surae Muscles. European Journal of Applied Physiology and Occupational Physiology, 1997, Vol 75, Iss 1, pp 1-6. Tardieu C, Preuschoft H: Ontogeny of the knee joint in humans, great apes and fossil hominids: Pelvifemoral relationships during postnatal growth in humans. Taylor A, et al. Knee extension and stiffness in osteoarthritic and normal knees: a videofluoroscopic analysis of the effect of a single session of manual therapy. Orthop Sports Phys Ther. 2014; 44:273-282. Terry GC, LaPrade RF. The posterolateral aspect of the knee. Am J Sports Med. 1996;24:732-739. Tetzlaff JE, J Andrish, J Ohara, J Dilger, HJ Yoon. Effectiveness of Bupivacaine Administered via Femoral Nerve Catheter for Pain Control After Anterior Cruciate Ligament Repair. Journal of Clinical Anesthesia. 1997; 9,7:542-545. Tewes DP, HM Fritts, RD Fields, DC Quick, DD Buss. Chronically Injured Posterior Cruciate Ligament – Magnetic-Resonance-Imaging. Clinical Orthopaedics and Related Research, 1997, Iss 335, pp 224-232. The Cartilaginous Femoral Sulcus in Children with Patellar Dislocation – An Ultrasonographic Study. Thomee R. A Comprehensive Treatment Approach for Patellofemoral Pain Syndrome in Young-Women. Physical Therapy. 1997; 77,12:1690-1703. Timm KE. The Clinical and Cost-Effectiveness of 2 Different Programs for Rehabilitation Following Acl Reconstruction. Journal of Orthopaedic & Sports Physical Therapy. 1997; 25,1:43-48. Toumi, T.M. Best, A. Pinti, C. Lavet, C.L. Benhamou, E. Lespessailles. The role of muscle strength & activation patterns in patellofemoral pain. Clinical Biomechanics 28 (2013) 544–54. Y Touten, N Adachi, M Deie, N Tanaka, M Ochi. Histologic evaluation of osteochondral loose bodies and repaired tissues after fixation. Arthroscopy 2007;23:188-196. Tsang KKW, BP Buxton, WK Guion, AB Joyner, KD Browder. The Effects of Cryotherapy Applied Through Various Barriers. Journal of Sport Rehabilitation. 1997; 6,4:343-354. Tudisco C, Meo A, Blasucci C, Ippolito E. Arthroscopic treatment of lateral meniscal cysts using an outside-in technique. Am J Sports Med 2000; 28:683-686. Ulrich K et al. Posterior aspect and stability of the knee joint. I: Anatomy and function of popliteus muscle tendon unit: An anatomical and biomechanical study. Knee Surg Sports Traumatol Athrosc 1993; 9:57-62. Urayama K. Origin of lumbar cerebrospinal fluid pulse wave. Spine. 1994; 19,4:441-445. Vaczi G, I Udvarhelyi, M Sarungi. Comparison of Results of Different Types of Knee Arthroplasties. Archives of Orthopaedic and Trauma Surgery, 1997, Vol 116, Iss 3, pp 177-180. Valeriani M, D Restuccia, V Dilazzaro, F Franceschi, C Fabbriciani, P Tonali. Central-Nervous-System Modifications in Patients with Lesion of the Anterior Cruciate Ligament of the Knee. Brain. 1996; 119,5:1751-1762. Van Diek e t al. Knee morphology and risk factors for developing an anterior cruciate ligament rupture: an MRI comparison between ACL-ruptured and non-injured knees. Knee Surg Sports Traumatol Arthrosc. Epub: July 2013.
van Eijden TM, Kouwenhoven E, Verburg J, et al: A mathematical model of the patellofemoral joint. J Biomech 19:219–229, 1986.
van Kampen A, Huiskes R: The three-dimensional tracking pattern of the human patella. J Orthop Res 8:372–382, 1990. Vangsness CT, W Mitchell, M Nimni, M Erlich, V Saadat, H Schmotzer. Collagen Shortening – An Experimental Approach with Heat. Clinical Orthopaedics and Related Research, 1997, Iss 337, pp 267-271. Veltri DM, RF Warren. Treatment of Acute and Chronic Injuries to the Posterolateral and Lateral Knee. Operative Techniques in Sports Medicine, 1996, Vol 4, Iss 3, pp 174-181. Veress SA, Lippert FG, Hou MC, et al: Patellar tracking patterns measurement by analytical x-ray photogrammetry. J Biomech 12:639–650, 1979. Vergis A, M Hindriks, J Gillquist. Sagittal Plane Translations of the Knee in Anterior Cruciate-Deficient Subjects and Controls. Medicine and Science in Sports and Exercise. 1997; 29,12:1561-1566. Viljakka T. The Clinical-Diagnosis and Results of Conservative Treatment of Knee Distortion Injury. Archives of Orthopaedic and Trauma Surgery. 1997; 116,1-2:6-9. Voight ML, Wieder DL. Comparative reflex response times of vastus medialis obliquus and vastus lateralis in normal subjects and subjects with extensor mechanism dysfunction: an electromyographic study. Am J Sports Med. 1991; 19,2:131-137. Wakitani S, K Imoto, T Kimura, T Ochi, K Matsumoto, T Nakamura. Hepatocyte Growth-Factor Facilitates Cartilage Repair – Full-Thickness Articular-Cartilage Defect Studied in Rabbit Knees. Acta Orthopaedica Scandinavica. 1997; 68,5:474-480. Waliewski SA, Coval DJ, Cohen S. Effect of surgical timing on recovery and associated injuries after anterior cruciate ligament reconstruction. Am J Sports Med 1993: 21:338-342. Wall EJ, Cohen MS, et al. Cauda equina anatomy I: Intrathecal nerve root organization. Spine. 1990; 15,12:1244-1251. Warden WH, DW Jackson. Radiographic Evaluation of the Acl-Deficient Knee. Sports Medicine and Arthroscopy Review, 1997, Vol 5, Iss 1, pp 11-19. Watanabe et al. Functional anatomy of the posterolateral structures of the knee. Arthoscop 1993; 9:57-62. Wawrzyniak JR, JE Tracy, PV Catizone, RR Storrow. Effect of Closed Chain Exercise on Quadriceps Femoris Peak Torque and Functional Performance. Journal of Athletic Training. 1996; 31,4:335-340. Webb D. Maximum Walking Speed and Lower-Limb Length in Hominids. American Journal of Physical Anthropology. 1996;101,4:515-525. Wegener L, C Kisner, D Nichols. Static and Dynamic Balance Responses in Persons with Bilateral Knee Osteoarthritis. Journal of Orthopaedic & Sports Physical Therapy. 1997; 25,1:13-18. Weiler A, Peine R, Pashmineh-Azar A, et al: Tendon healing in a bone tunnel: Part I. Biomechanical results after biodegradable interference fit fixation in a model of anterior cruciate ligament reconstruction in sheep. Arthroscopy 18: 113–123, 2002. Weinstabl R, T Muellner, V Vecsei, F Kainberger, M Kramer. Economic-Considerations for the Diagnosis and Therapy of Meniscal Lesions – Can Magnetic-Resonance-Imaging Help Reduce the Expense. World Journal of Surgery, 1997, Vol 21, Iss 4, pp 363-368. Weinstein JM. Mechanism of spinal pain: the dorsal root ganglion and its role as a mediator of low back pain. Spine. 1986;11:999-1001. Weinstein JN. The role of neurogenic and non-neurogenic mediators as they relate to pain and the development of osteoarthritis; A clinical review. Spine. 1992; 17,10S:356-361. Weir JP, DJ Housh, TJ Housh, LL Weir. The Effect of Unilateral Concentric Weight Training and Detraining on Joint Angle Specificity, Cross-Training, and the Bilateral Deficit. Journal of Orthopaedic & Sports Physical Therapy, 1997, Vol 25, Iss 4, pp 264-270. Weresh MJ, RH Gabel, RA Brand, DS Tearse. Popliteus Function in Acl-Deficient Patients. Scandinavian Journal of Medicine & Science in Sports, 1997, Vol 7, Iss 1, pp 14-19. White LM, ME Schweitzer, DM Deely, WB Morrison. The Effect of Training and Experience on the Magnetic-Resonance-Imaging Interpretation of Meniscal Tears. Arthroscopy, 1997, Vol 13, Iss 2, pp 224-228. Whiteside LA. Distal Realignment of the Patellar Tendon to Correct Abnormal Patellar Tracking. Clinical Orthopaedics and Related Research. 1997; 344:284-289. Wiberg G: Roentgenographic and anatomic studies on the femoro-patellar joint. Acta Orthop Scand 12:319–410, 1941. Wiksten DL, DH Perrin, ML Hartman, J Gieck, A Weltman. The Relationship Between Muscle and Balance Performance as a Function of Age. Isokinetics and Exercise Science, 1996, Vol 6, Iss 2, pp 125-132. Wilk KE, JR Andrews, WG Clancy. Nonoperative and Postoperative Rehabilitation of the Collateral Ligaments of the Knee. Operative Techniques in Sports Medicine, 1996, Vol 4, Iss 3, pp 192-201. Williams & Warwick. Gray’s Anatomy. 37th ed. Churchill Livingstone:London 1989. Williams GN, Chmielewski T, Rudoph KS, Buchanan TS, SnyderMackler L. Dynamic knee stability: Current theory and implications for clinicians and scentists. J Orthop Sports Med 2001: 31:546-66. Wilson DR, JJ Oconnor. A 3-Dimensional Geometric Model of the Knee for the Study of Joint Forces in Gait. Gait & Posture, 1997, Vol 5, Iss 2, pp 108-115. Wilson JN. A diagnostic sign of osteochondritis dissecans of the knee. J Bone Joint Surg. 1967;49-A:477-480. Wimmer MA, TP Andriacchi. Tractive Forces During Rolling Motion of the Knee – Implications for Wear in Total Knee Replacement. Journal of Biomechanics, 1997, Vol 30, Iss 2, pp 131-137. Wnorowski DC. The Fate of Intraarticular Debris Following Arthroscopic Anterior Cruciate Ligament Reconstruction. Arthroscopy, 1997. 13,5:620-626. Woo SLY, SS Chan, T Yamaji. Biomechanics of Knee Ligament Healing, Repair and Reconstruction. Journal of Biomechanics, 1997, Vol 30, Iss 5, pp 431-439. Wroble RR, ES Grood, JS Cummings. Changes in Knee Kinematics After Application of an Articulated External Fixator in Normal and Posterior Cruciate Ligament-Deficient Knees. Arthroscopy, 1997, Vol 13, Iss 1, pp 73-77. Xu M, et al. Outcomes of anterior cruciate ligament reconstruction using single-bundle versus double-bundle technique: meta-analysis of 19 randomized controlled trials. Arthroscopy. 2013 Feb;29(2):357-65..
Yabuki S, Kikuchi S. Nerve root infiltration and sympathetic block: An experimental study of intraradicular blood flow. Spine. 1995;20,8:901-906. Yasuda K, J Tsujino, Y Tanabe, K Kaneda. Effects of Initial Graft Tension on Clinical Outcome After Anterior Cruciate Ligament Reconstruction – Autogenous Doubled Hamstring Tendons Connected in Series with Polyester Tapes. American Journal of Sports Medicine, 1997, Vol 25, Iss 1, pp 99-106. Zhang ZN, JA Arnold. Trephination and Suturing of Avascular Meniscal Tears – A Clinical-Study of the Trephination Procedure. Arthroscopy. 1996; 12,6:726-731. Zhou S, Lawson DL, Morrison WE, Fairweather I. Effects of age: effects of gender: electromechanical delay; knee extensors. J Human Movement Studies. 1995; 28,3:127-146. Zimny ML, Shutte M, Dabezies E. Mechanoreceptors in the human anterior cruciate ligament. Anat Rec 1986; 214:204-9.